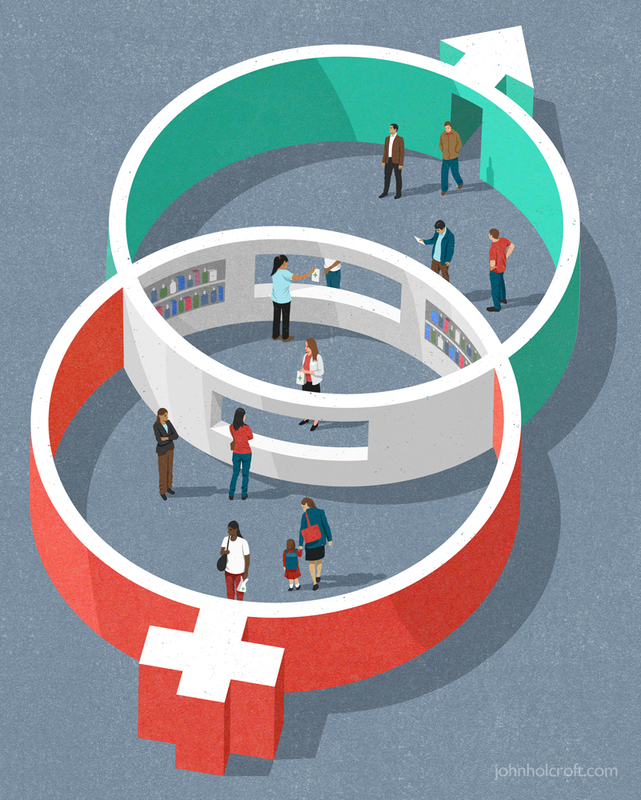 I illustrated this for BBC Science Focus magazine for a feature about how gender specific medicines could be a reality in future. 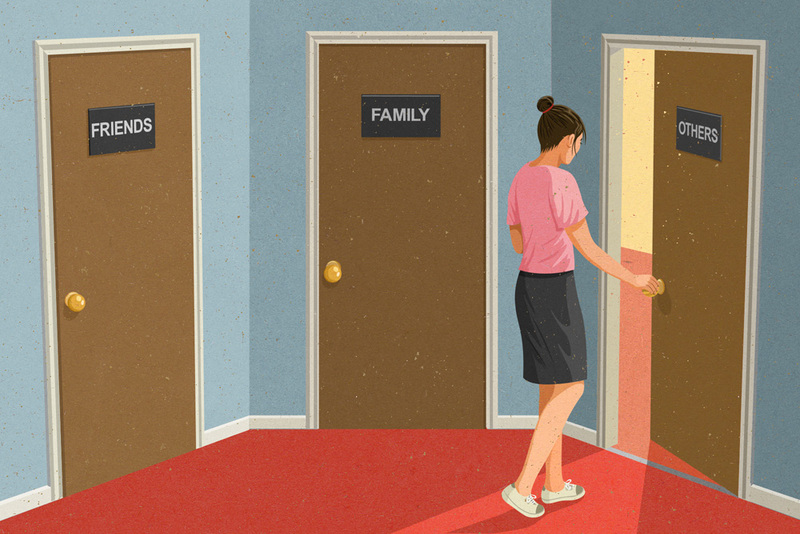 This was for the Guardian weekend magazine for a feature about parents’ relationship with their children. Are they building the wall or taking it down? Parents need to know what alienates them from their children and how to have a healthy relationship. 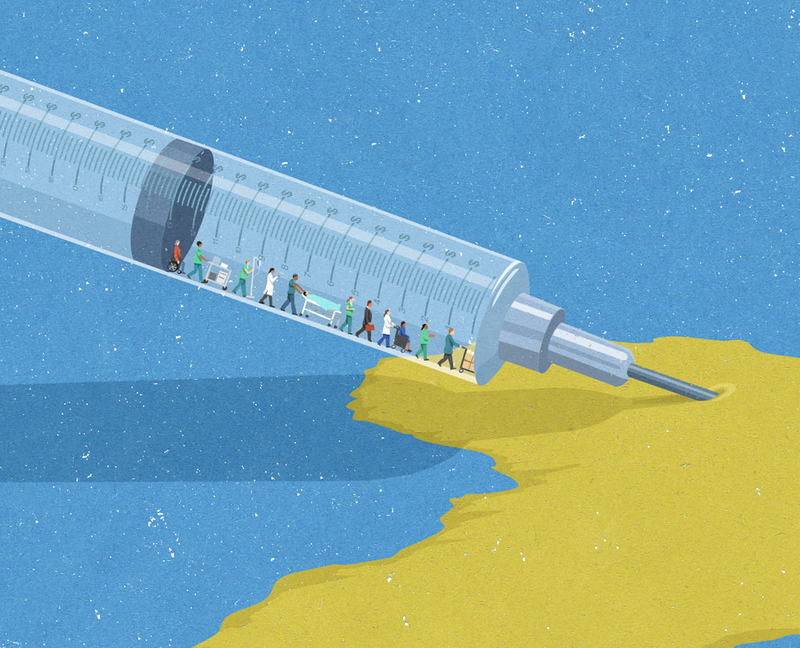 For Harvard Magazine about USA attracting talented medical and engineering graduates from over-seas. 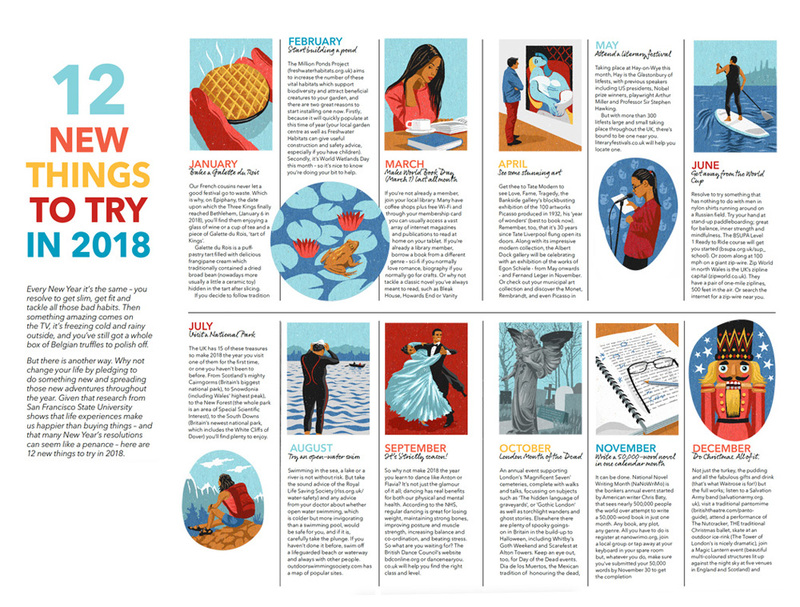 Double page spread for women’s health magazine about the ‘nurses’ health study’; an ongoing survey from women to gather health information over the years to eventually give a clear overall picture of general health in order to help new generations. 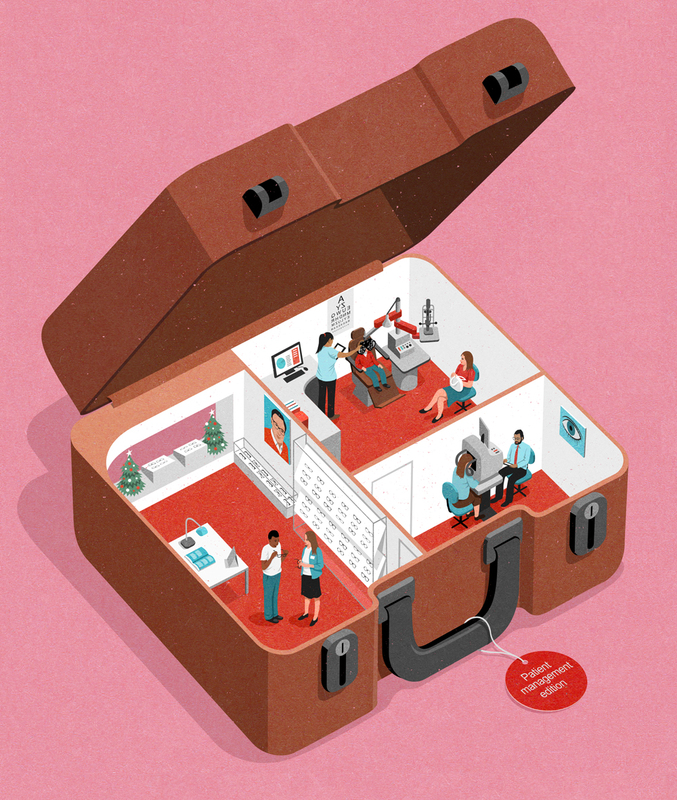 This was for Optometry Today magazine about care packages in the optometry industry. 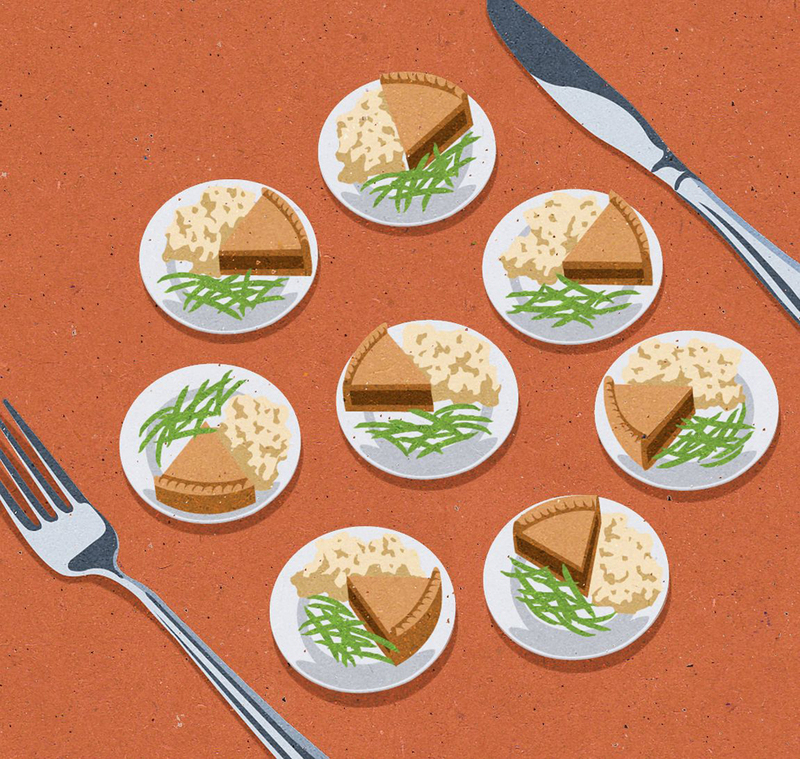 This was for the University of Chicago magazine for a feature on healthy changes you can make. 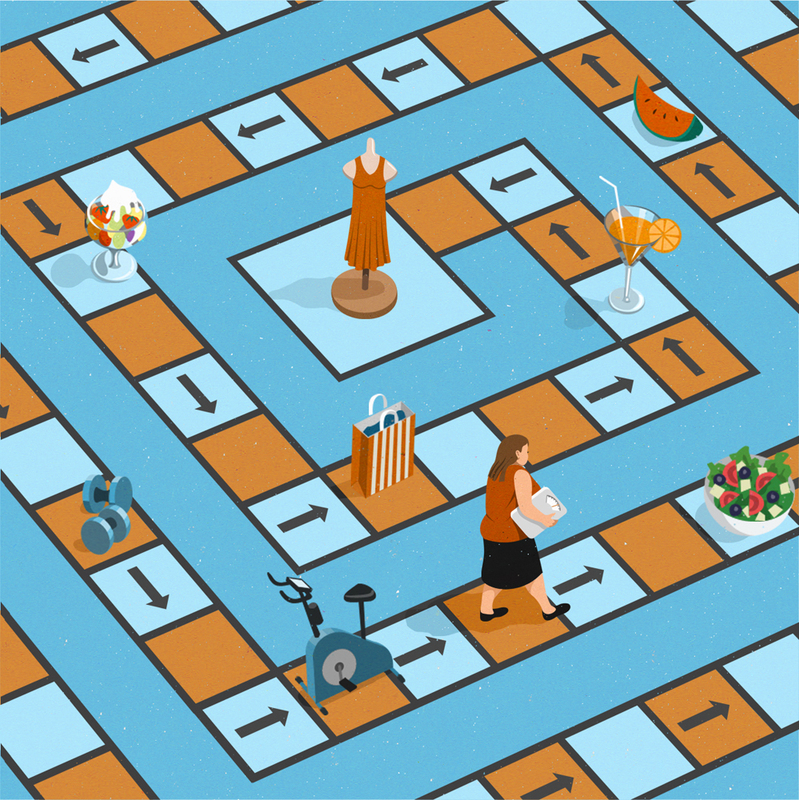 This particular illustration was showing how important it is to reward yourself without indulging but keep focus on the final goal. 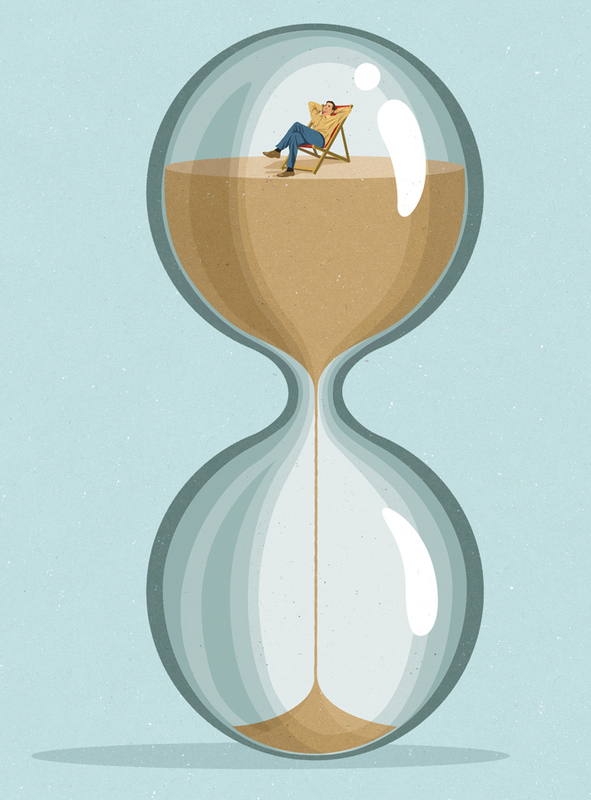 For the same feature as previous with this illustration about waiting is for something is a good way to test your patience and the outcome will be more rewarding. 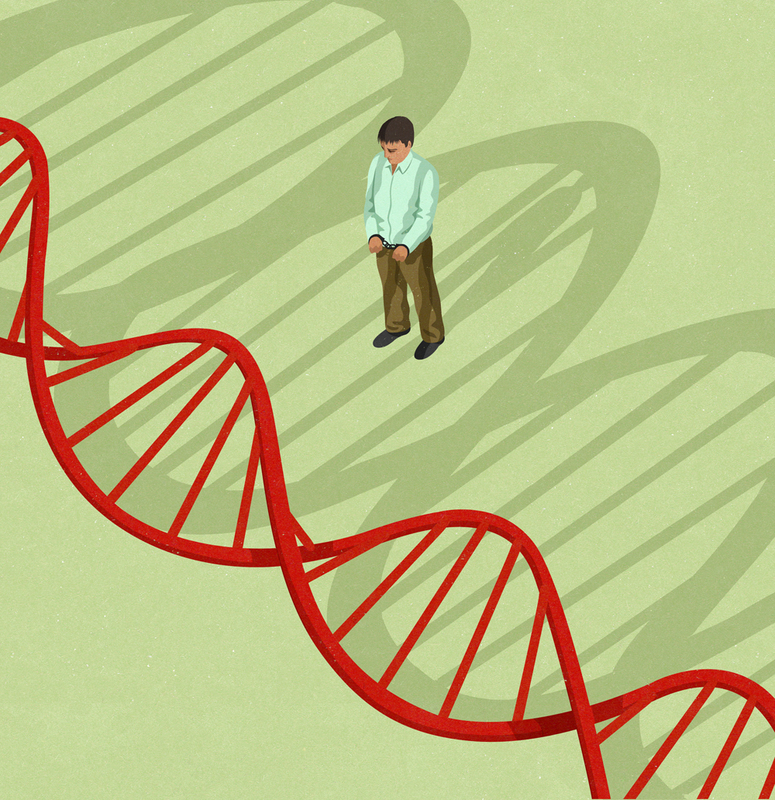 For BBC Focus magazine about using forensics to catch criminals from old unsolved cases. For Which magazine? 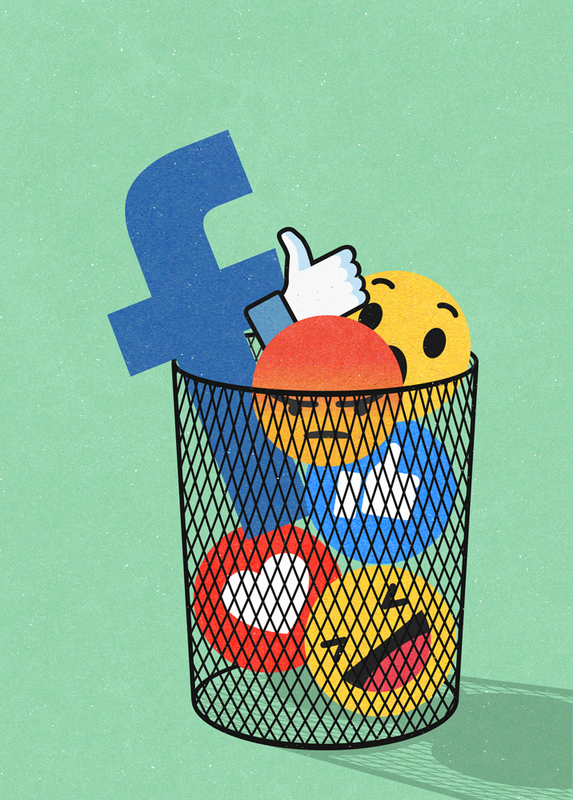 about deleting Facebook. 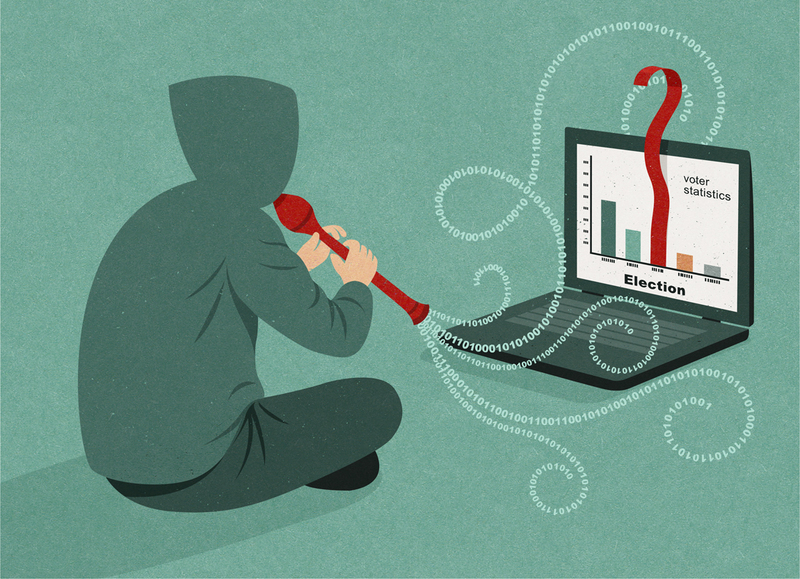 This is part of the election hacking feature for BBC Focus magazine. 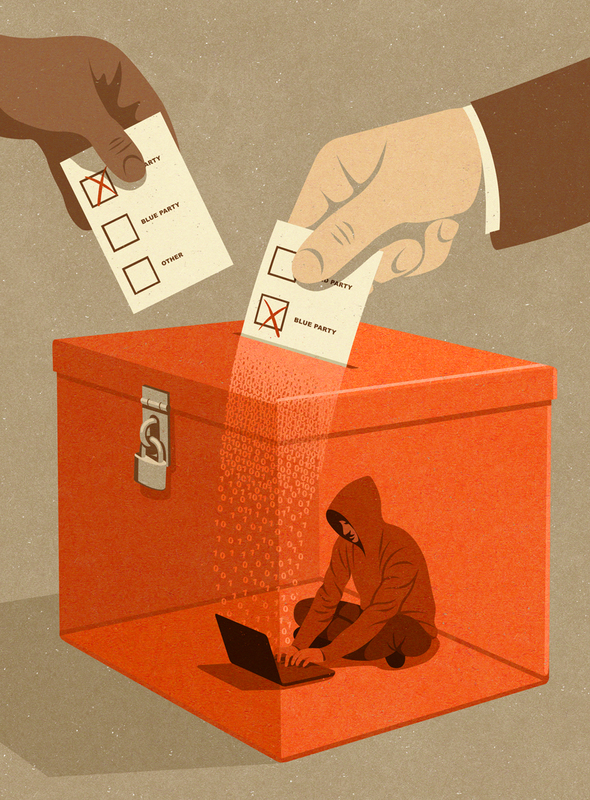 This image illustrates the problem of hackers manipulating voters’ interests via social media by way of fake news and propaganda. For Drucker Forum. 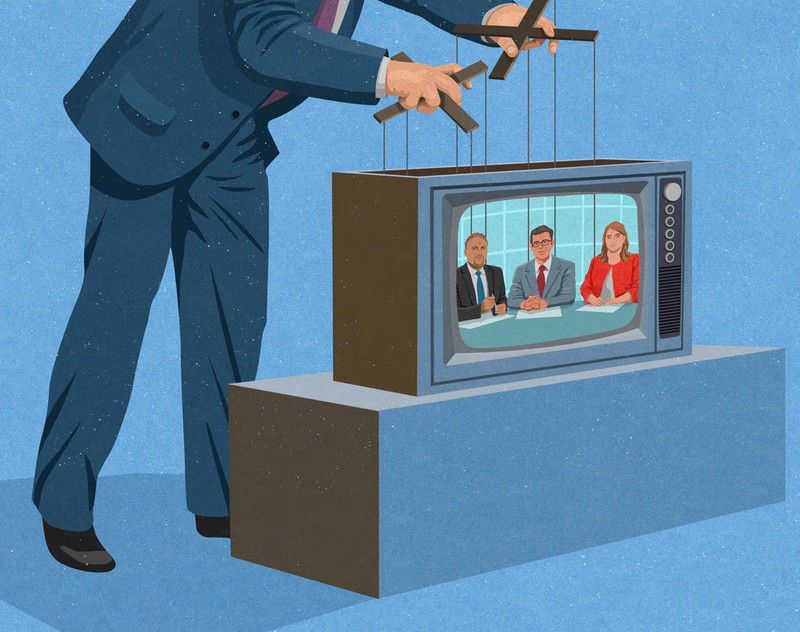 This particular piece was for an article on customers trusting certain media companies with their information and have faith in the way these companies operate. 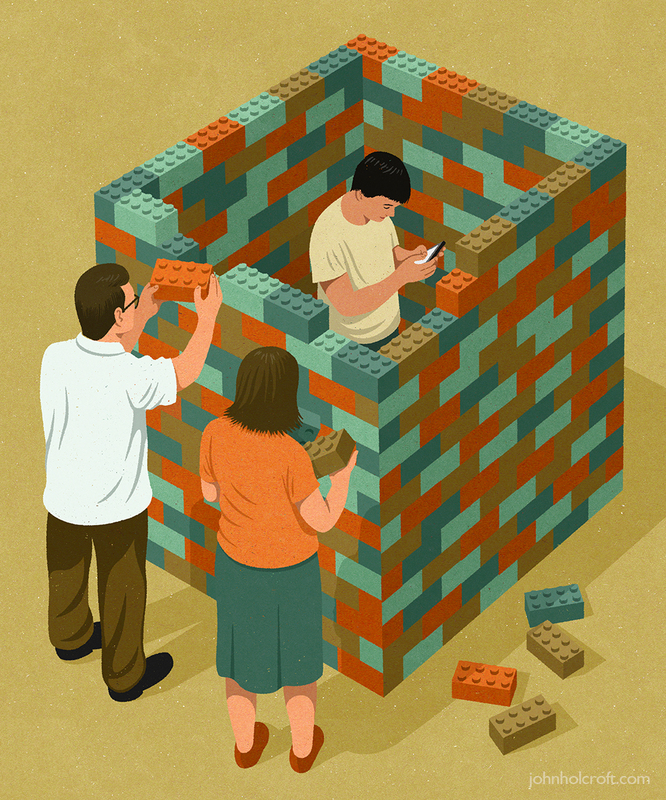 Magazine illustration for TES about young people not wanting to do very much but stay in their room. 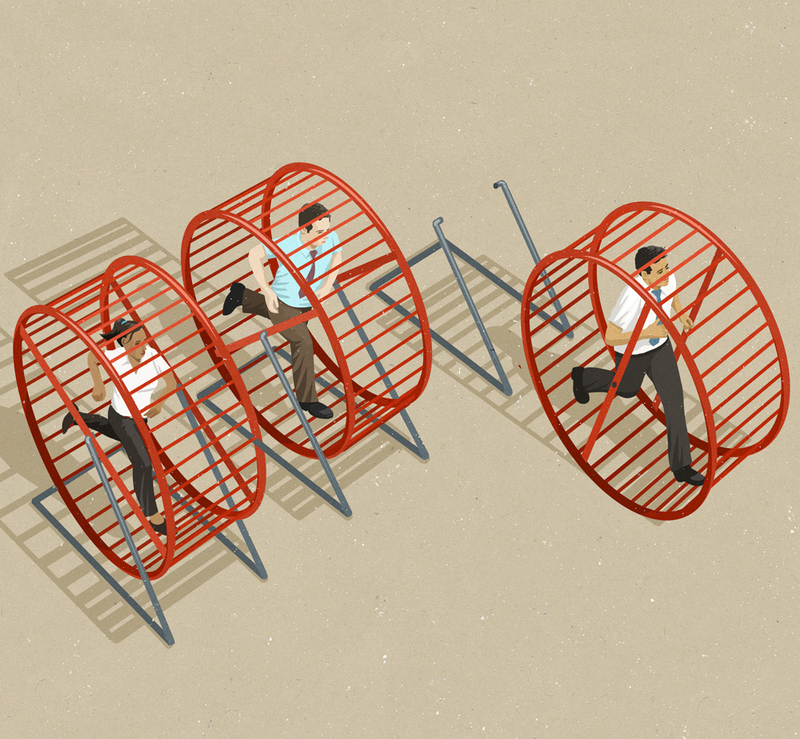 For Drucker forum magazine about cutting free the workforce and encouraging them to think without restrictions. This was for Health and safety magazine editorial illustration about seeking justice after the accidental death of a loved one. 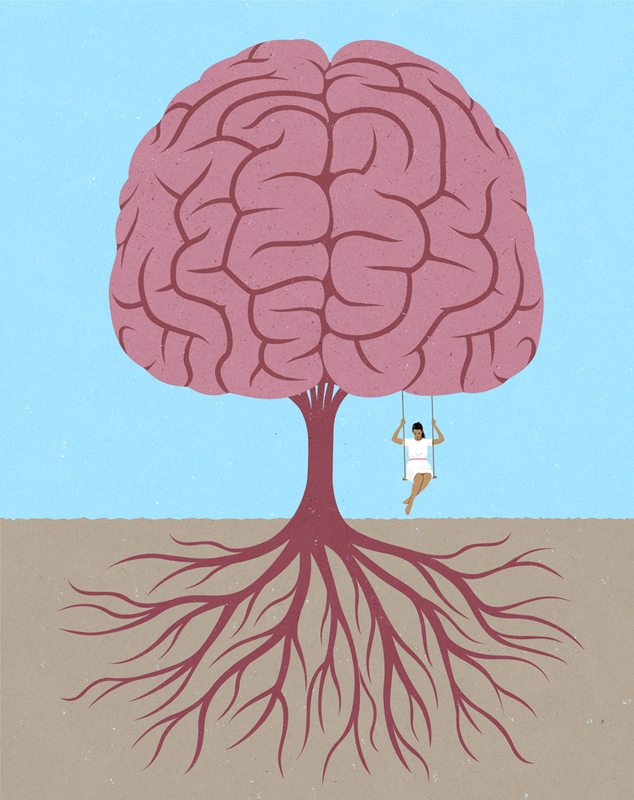 For Edge magazine about mental resilience. 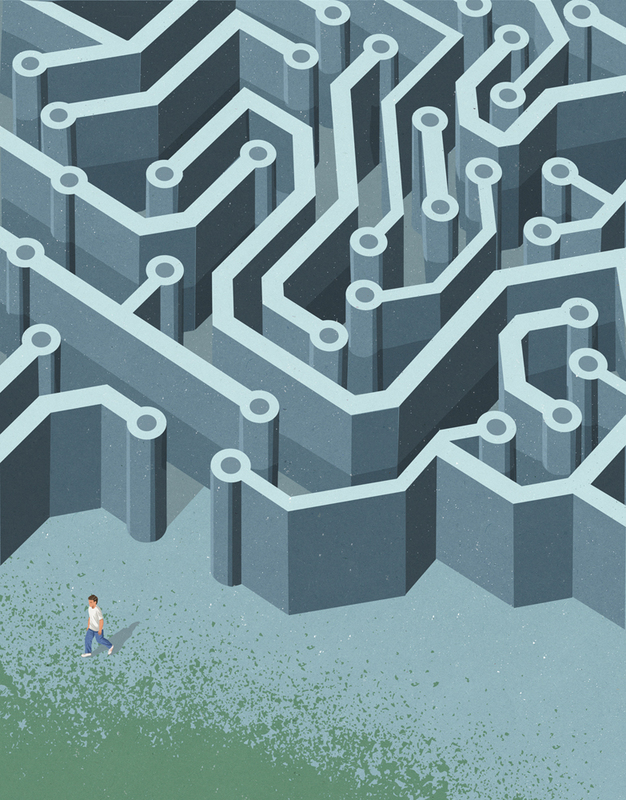 For New Scientist, editorial illustration about the psychology behind interrupting. 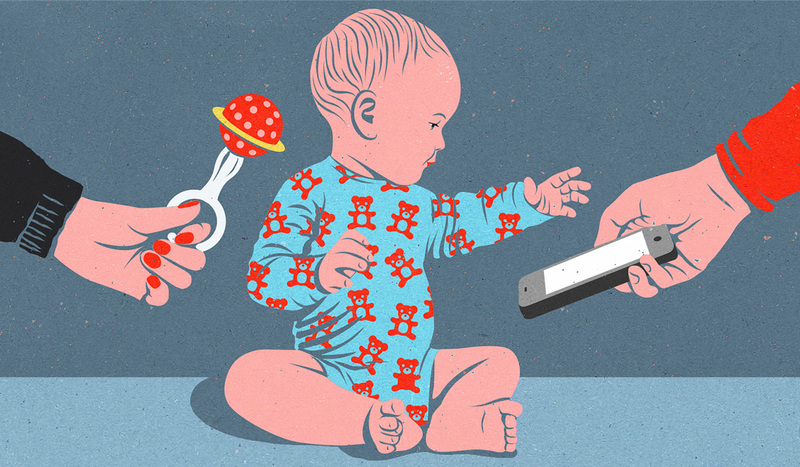 For Waitrose weekend magazine, editorial illustration about technology and youth. 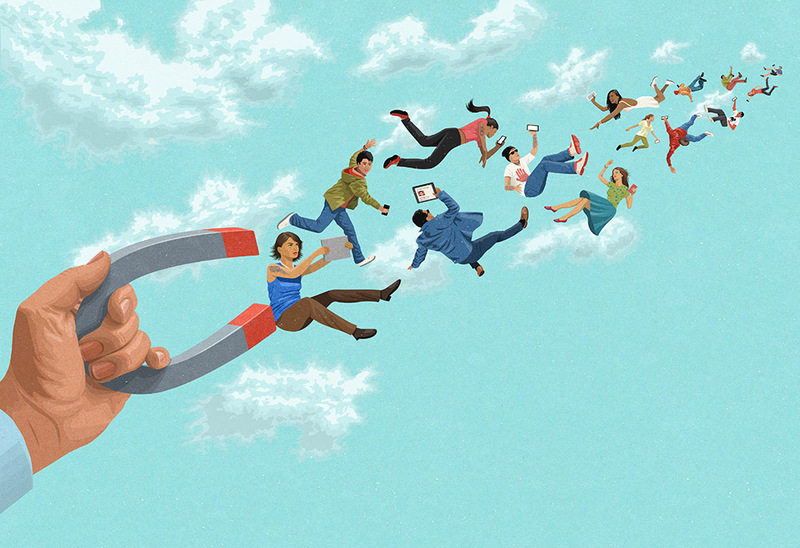 For a personnel and Human resources magazine, about outsourcing specific qualities in a workforce. 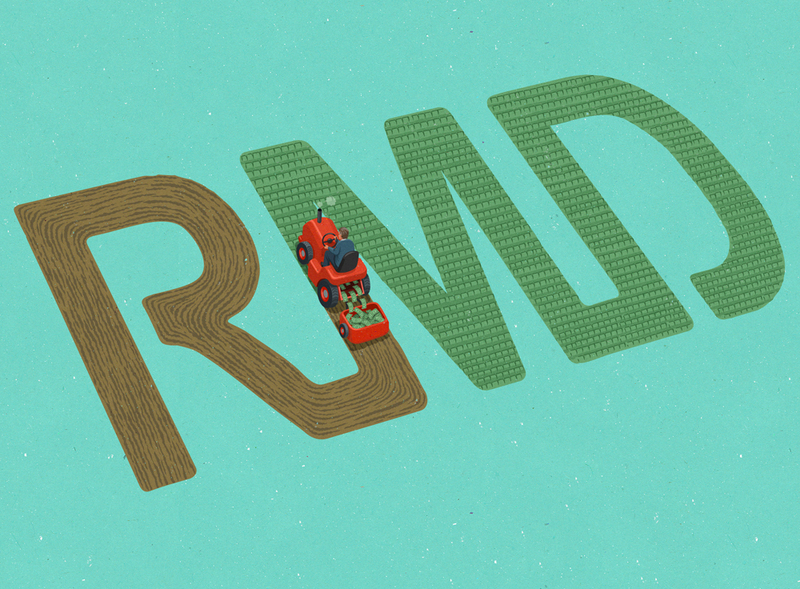 For Wall Street Journal, editorial illustration about harvesting investments RMD in retirement plan. 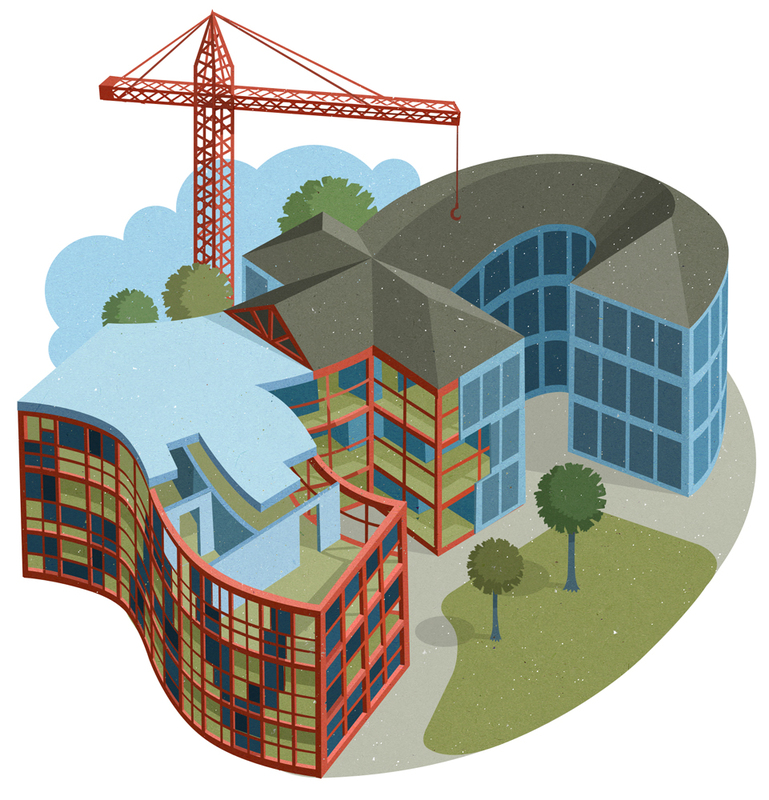 For Construction Manager magazine, editorial illustration about investing in public building construction. 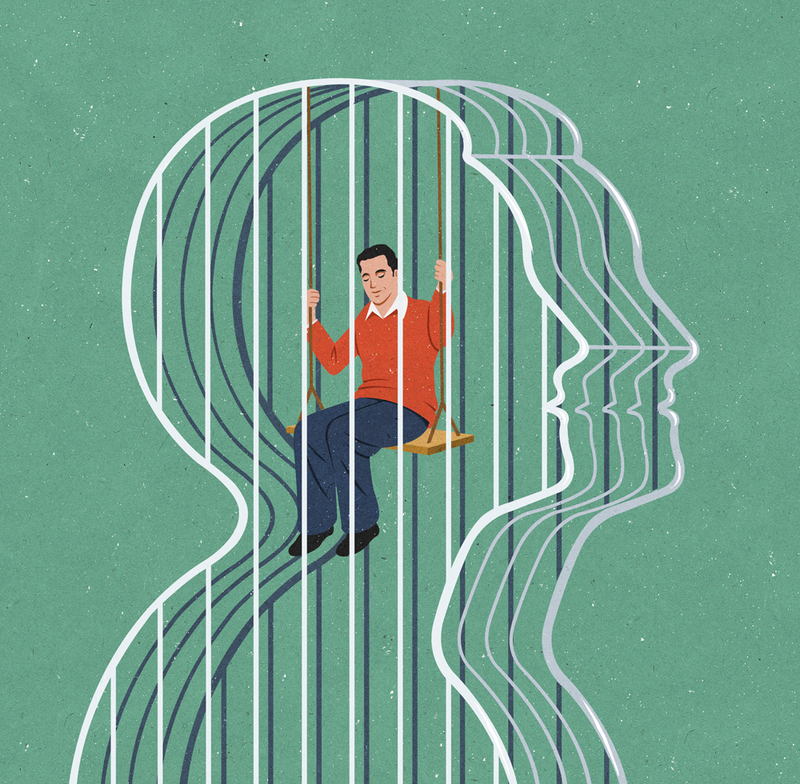 For the Guardian, about mind and body being connected. 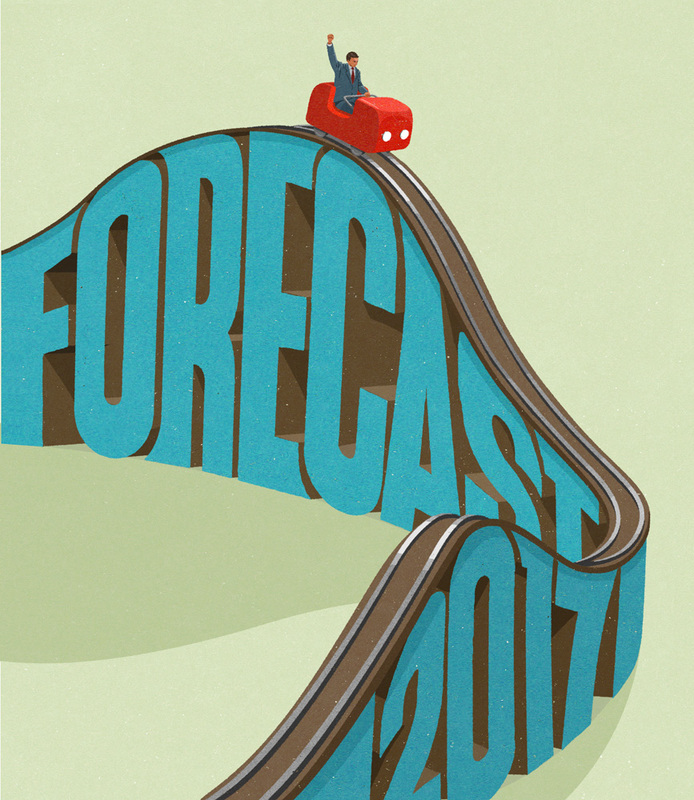 For a finance magazine, about a forecast for 2017. 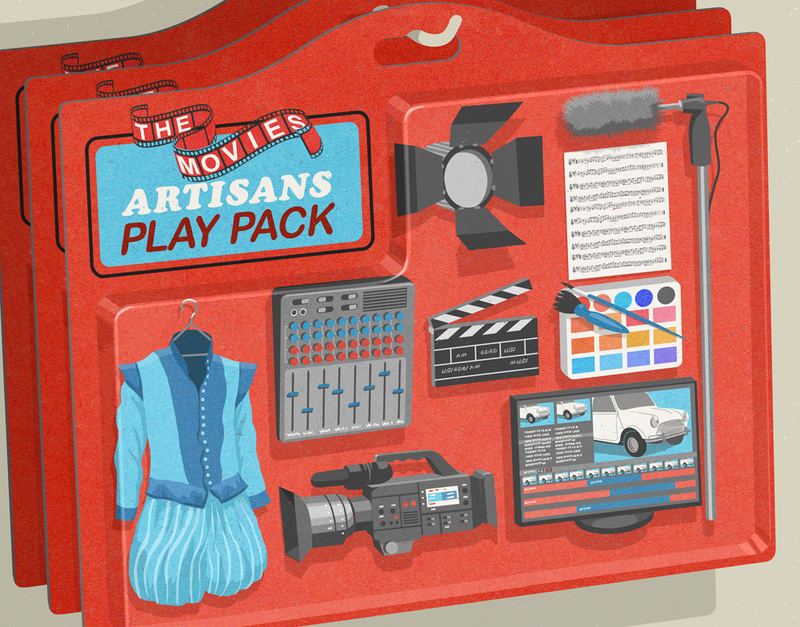 For an arts Magazine editorial illustration about film artisans. 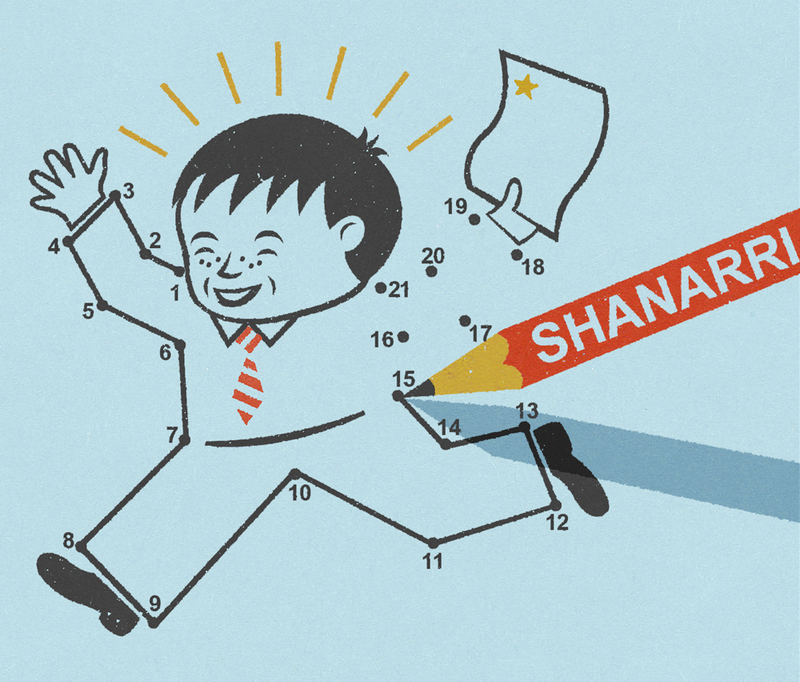 For TES, editorial illustration about the ‘shanarri’ method of helping special needs children. 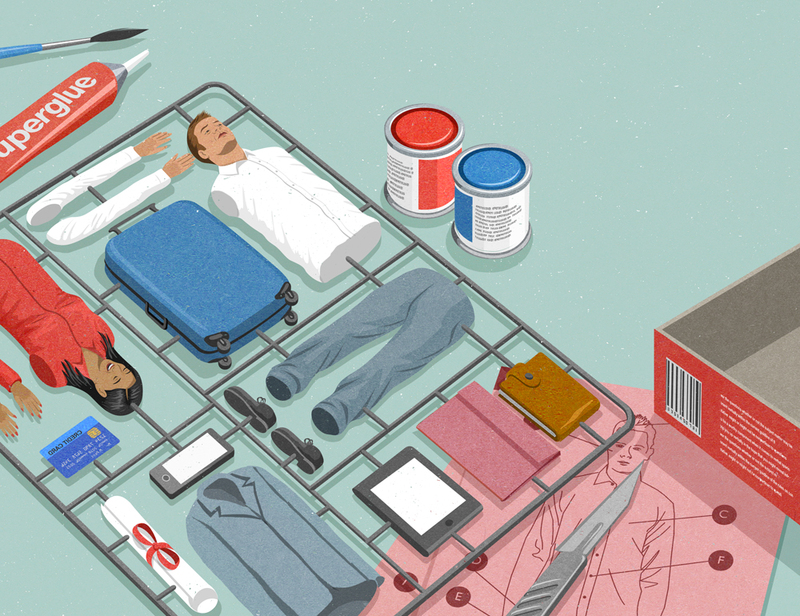 For Guardian weekend magazine, about new year’s frugality with spending. 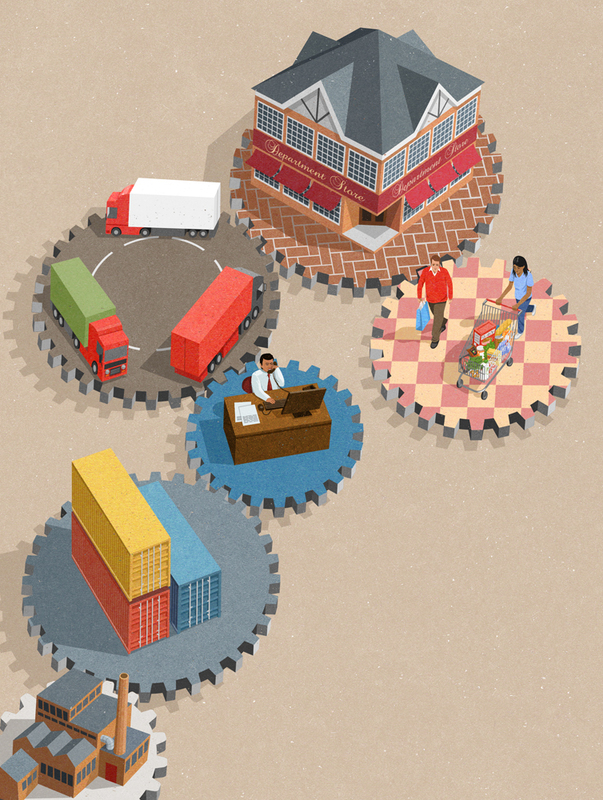 For Reason magazine, about the supply chain. 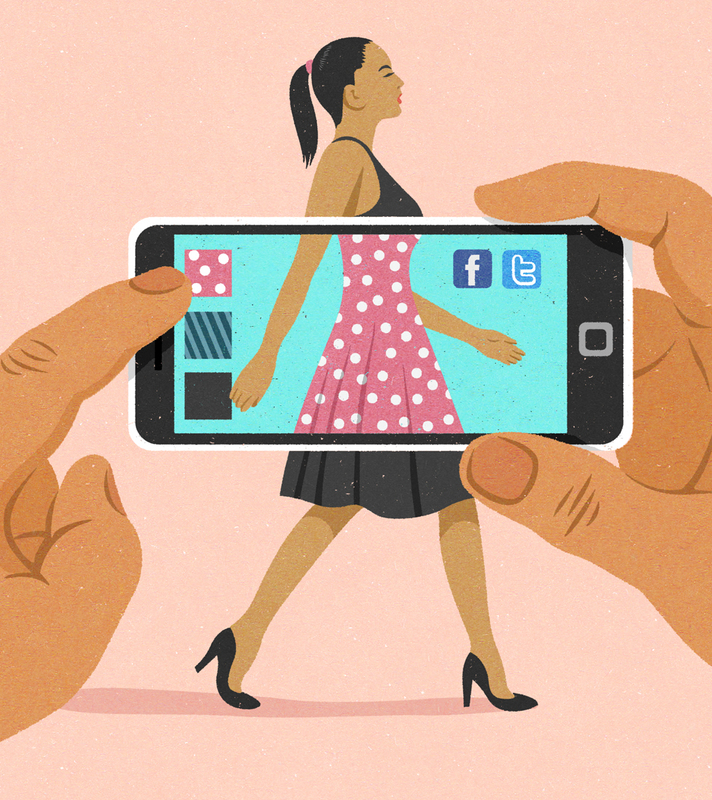 For Drapers magazine, about phone apps that help clothes shoppers. 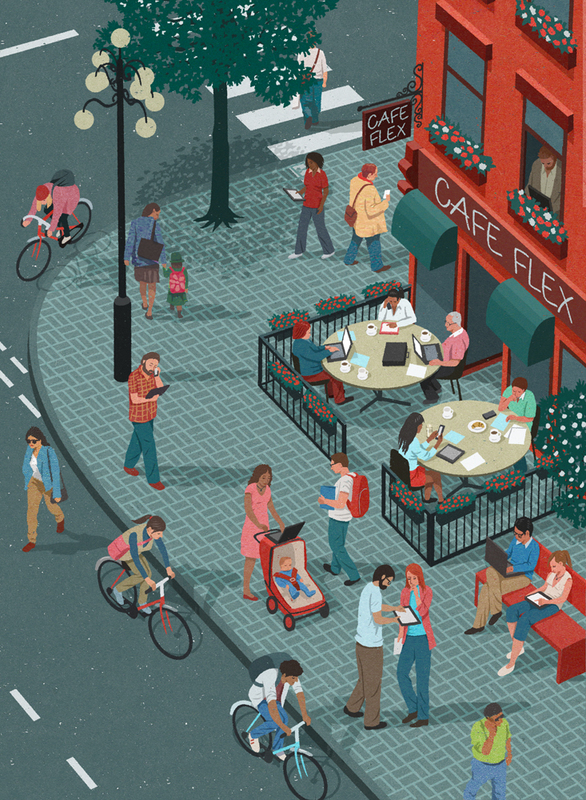 For a Business magazine, cover illustration about the ‘Gig economy’ and the flexibility of being freelance. 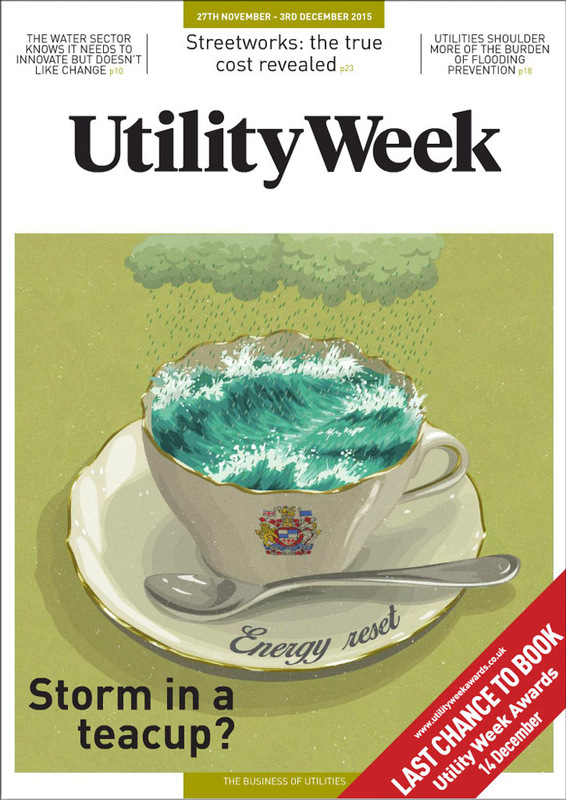 For Utility magazine, about the recent change in energy regulation causing disproportionate uproar describing it as ‘a storm in a teacup’. 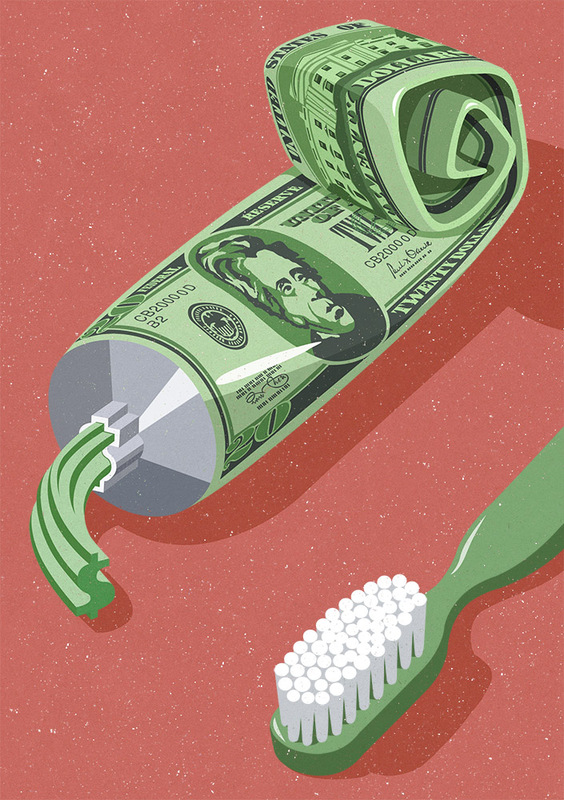 For Money Sense magazine about personal investments. 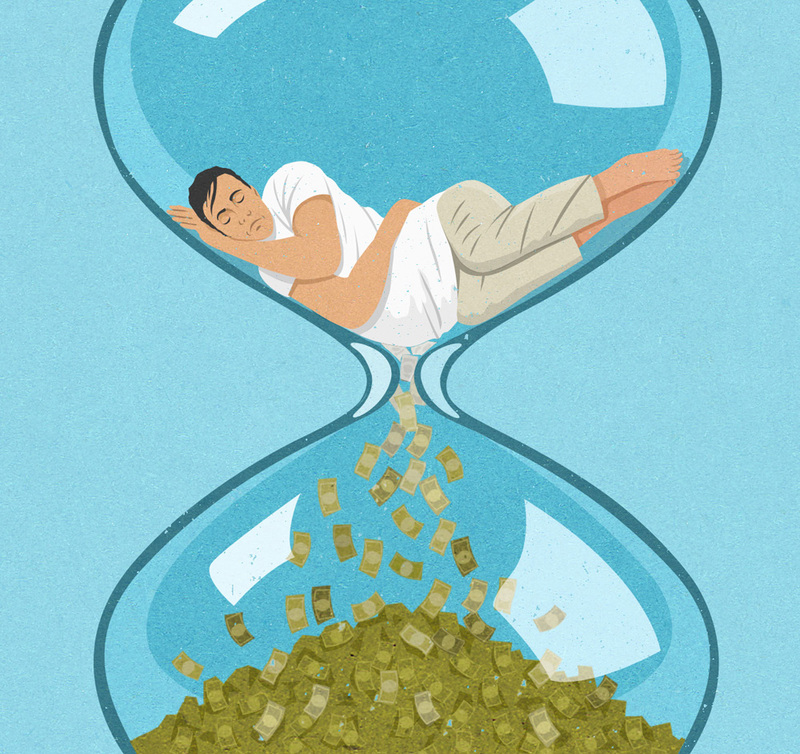 For the Guardian, about: time is money. 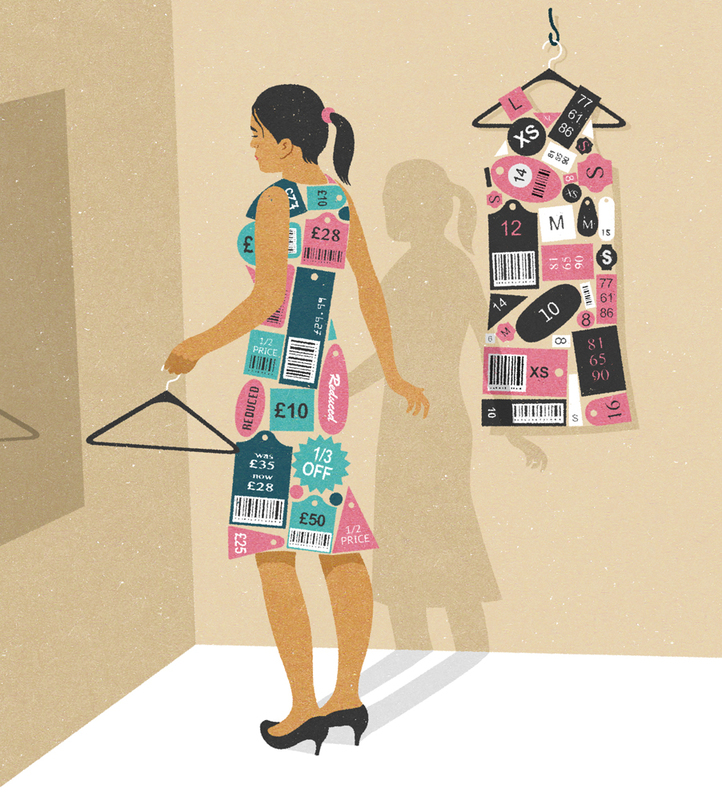 For Drapers magazine, editorial illustration about the importance of labels in clothes shopping. 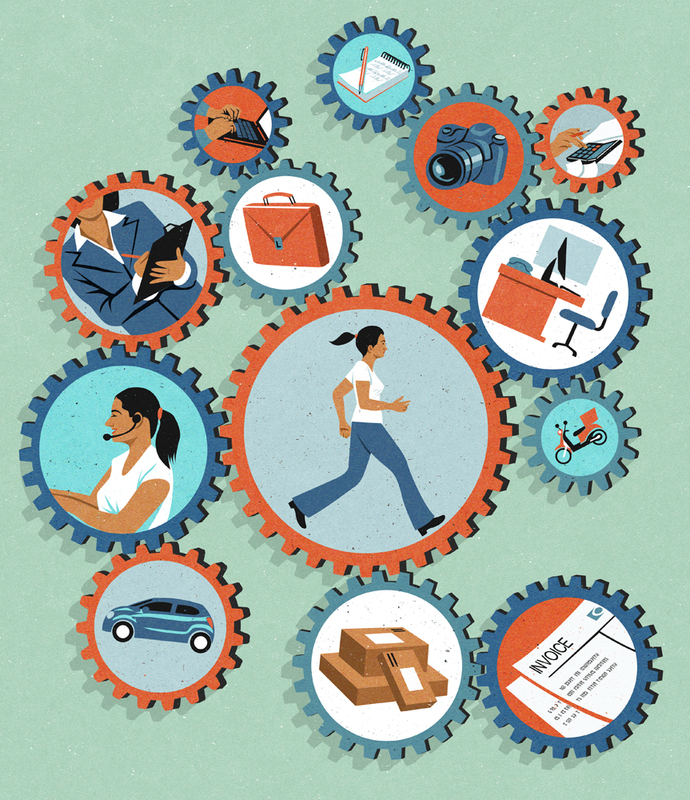 For Human resources magazine, editorial illustration about making ends meet in the ‘gig economy’. 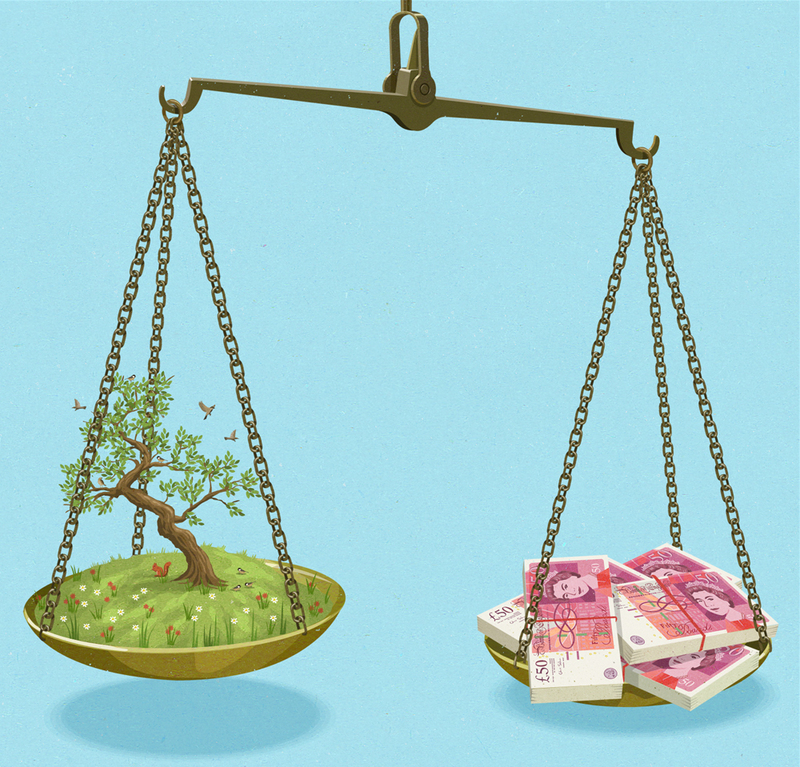 For BTO (British Trust for Ornithology) about the balance of cost and conservation. 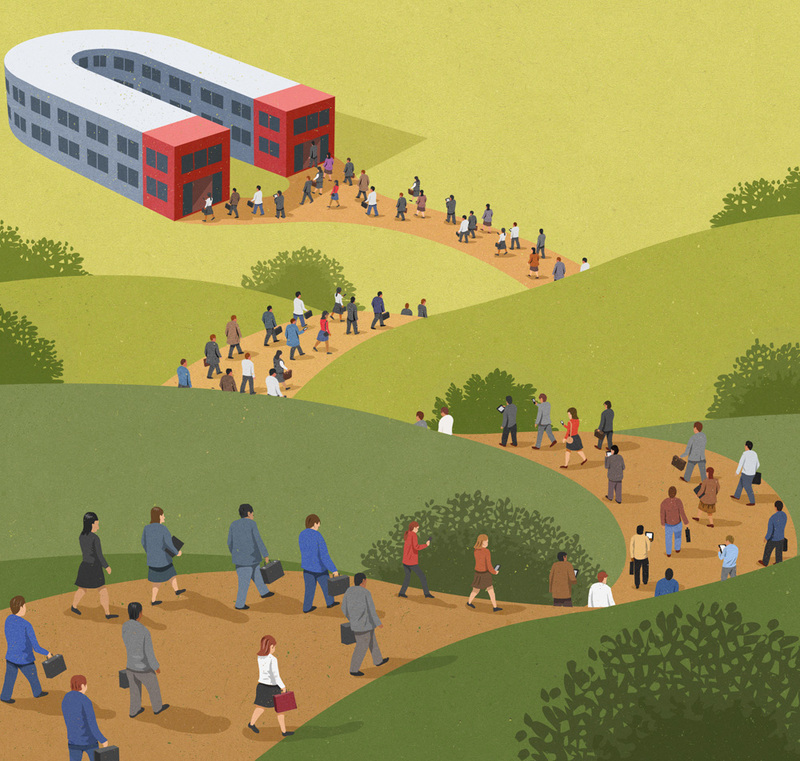 For an education magazine, illustration about overseas students needing extra support. 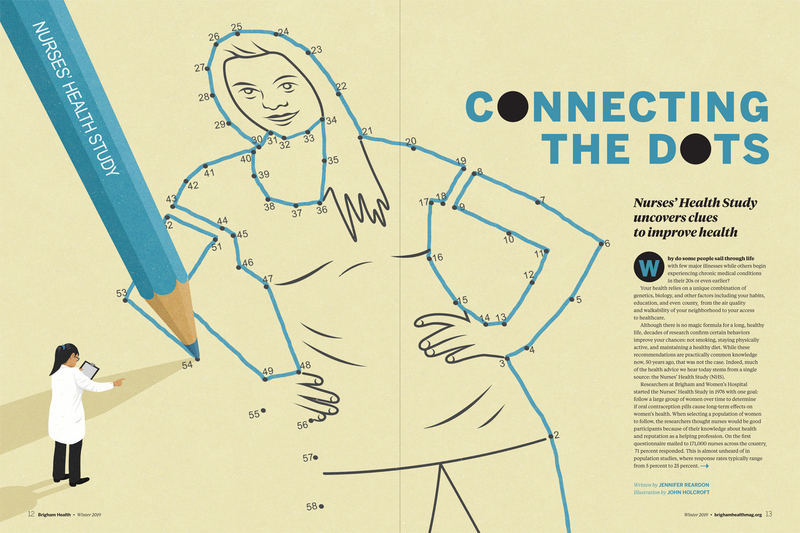 For a young enterprise magazine, about attracting young people via social media. 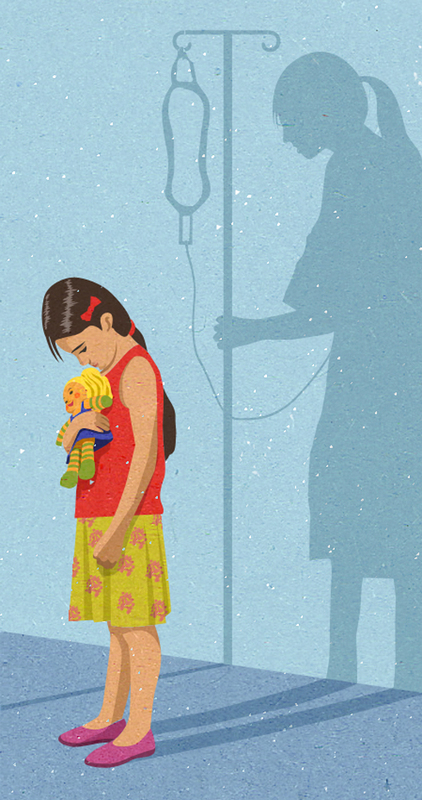 For Radio Times showcasing a radio show, about depression in children leading to illness later in life. 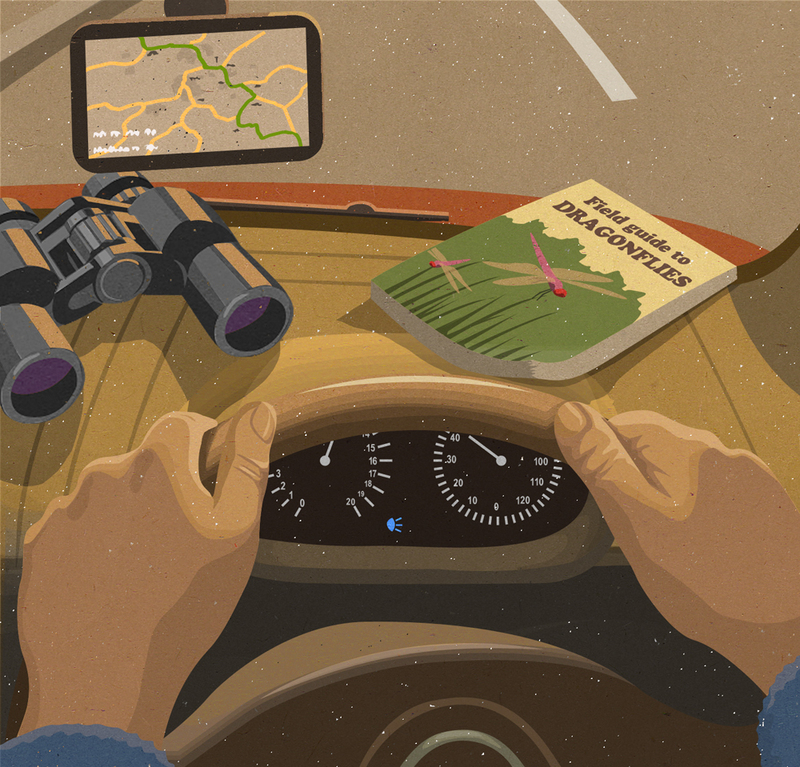 For BTO (British Trust for Ornithology) about bird watcher traveling through the night to hotspots. For ‘Les Inrockuptibles‘ a French political media magazine,editorial illustration about Russian propaganda on RT channel. 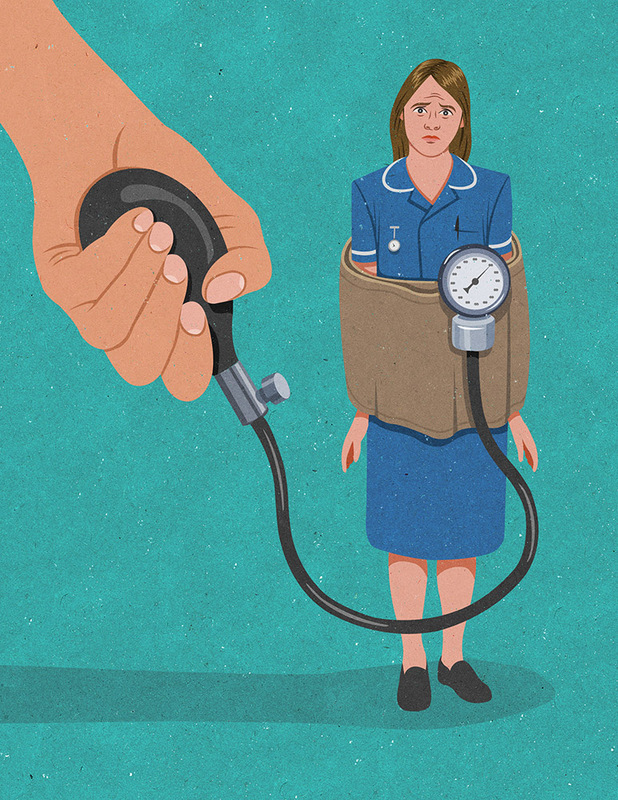 For Nursing Standard, about nurses under pressure. 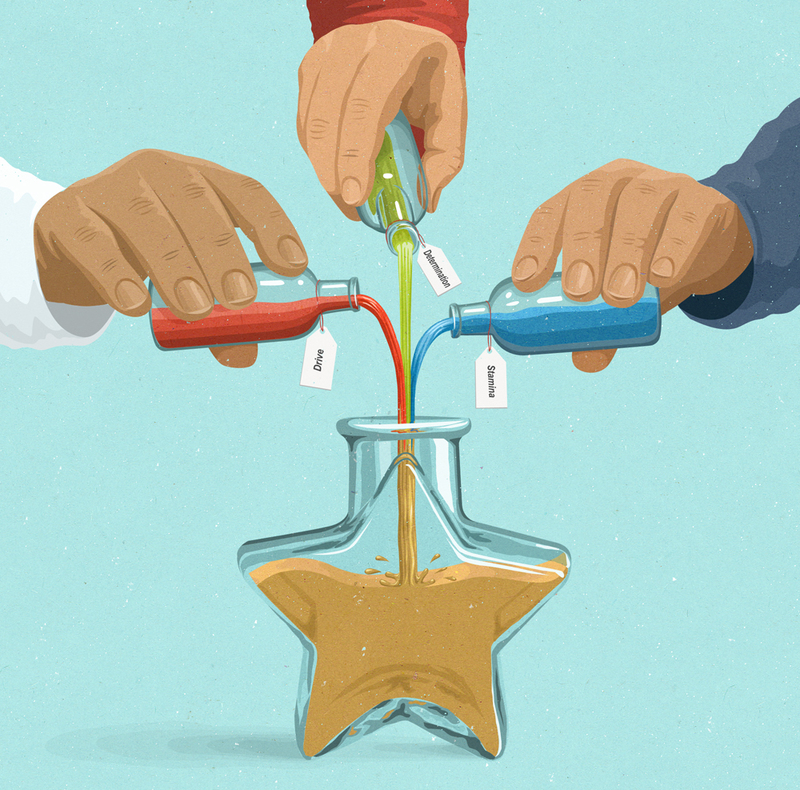 For Bulletin magazine, editorial illustration about in attributes that make success. 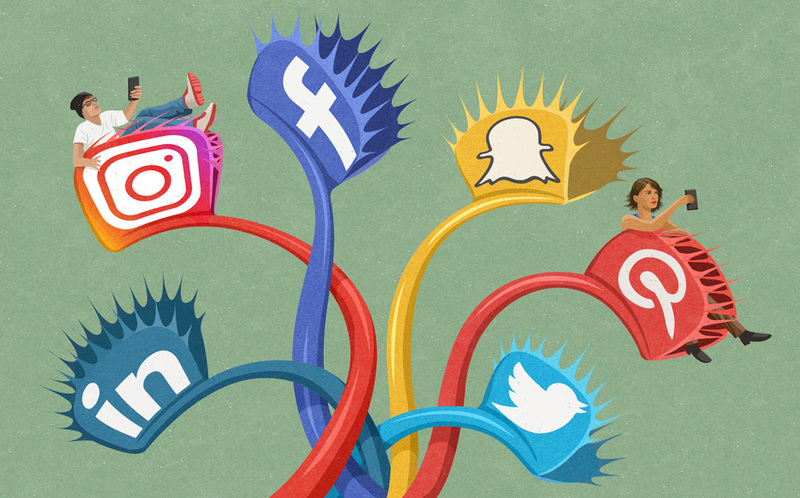 For BBC Focus magazine, editorial illustration about young people being hooked on social media. 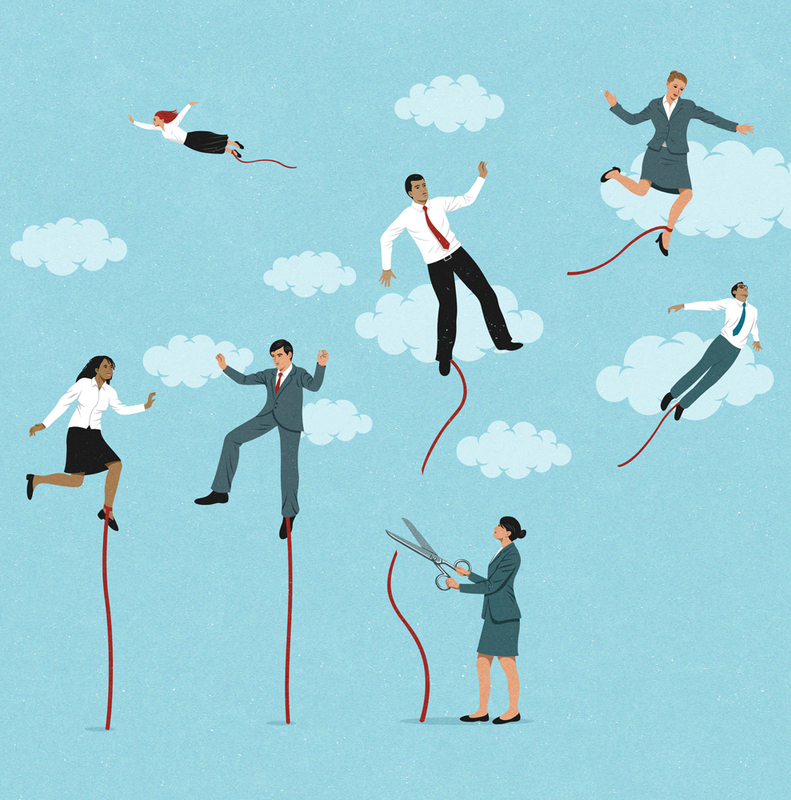 For Health and Safety magazine, editorial illustrations about stress in the workplace. 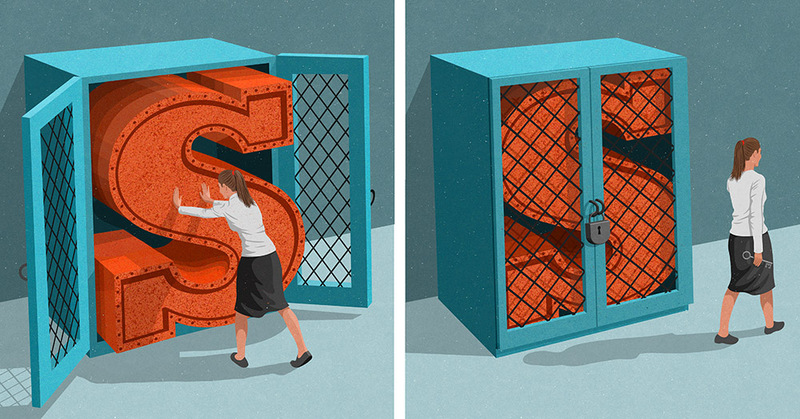 Entitled: locking up the ‘S’ word. 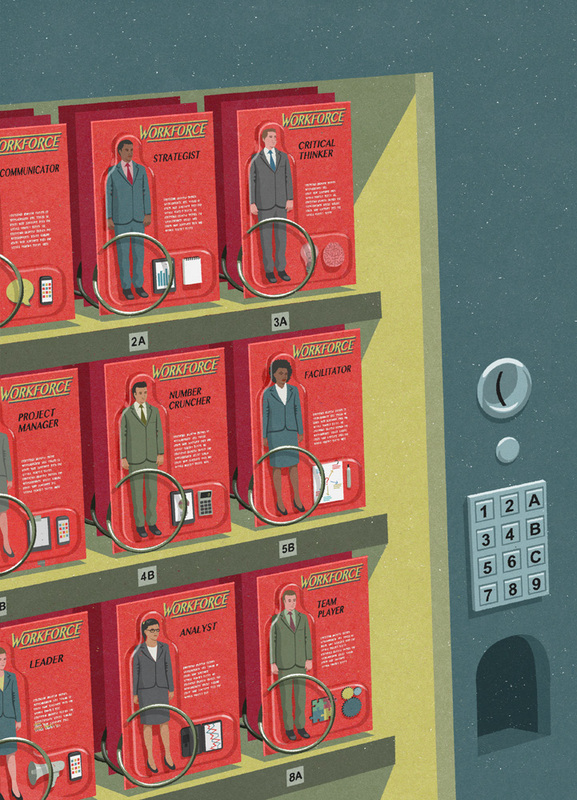 For Construction Manager magazine, about building the perfect manager of a construction company. 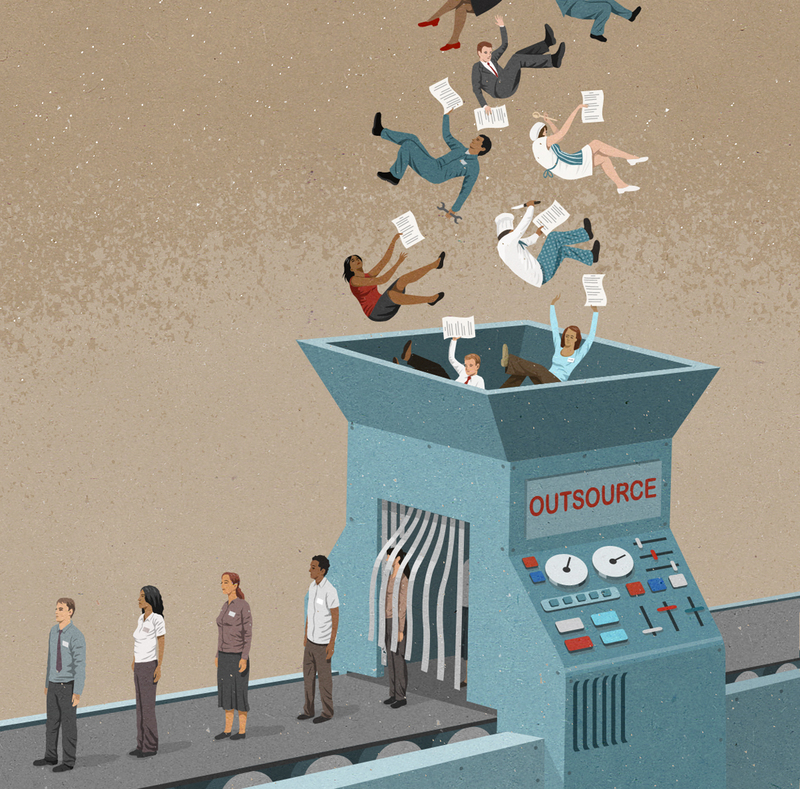 For Harvard Magazine, editorial illustration about outsourced workers becoming anodyne. 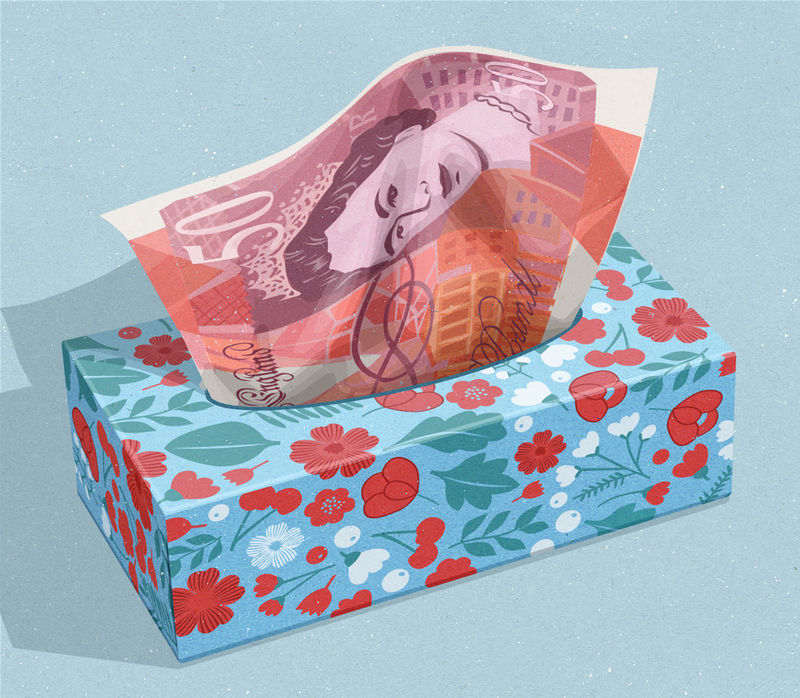 For Berengerg magazine, about the profits of sanitation products like tissues, cotton buds and women’s hygiene products. 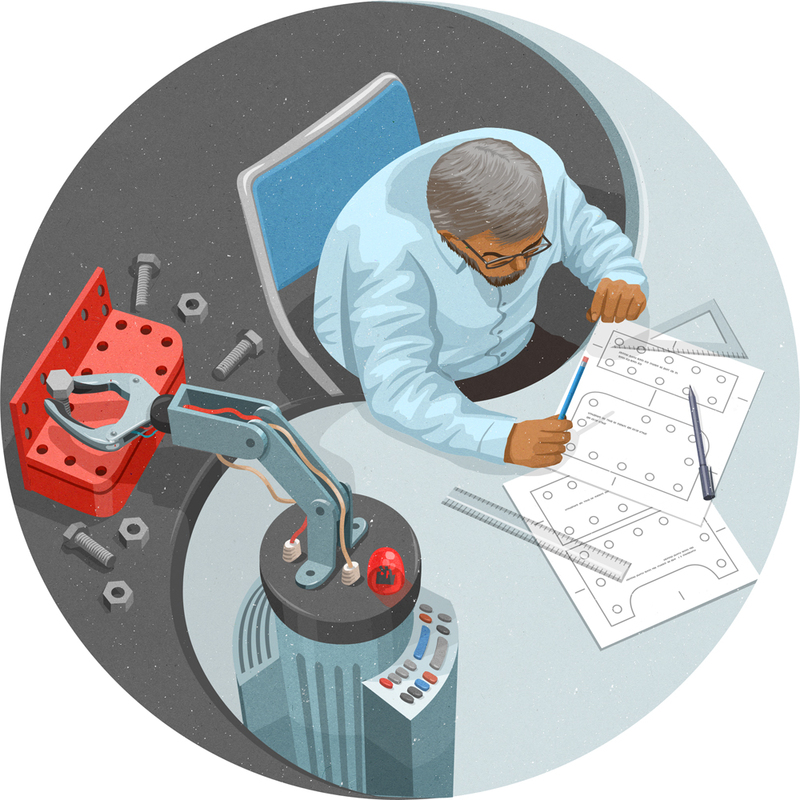 For Contagious magazine, about the Yin and Yang balance between manual and robotic workmanship working together. 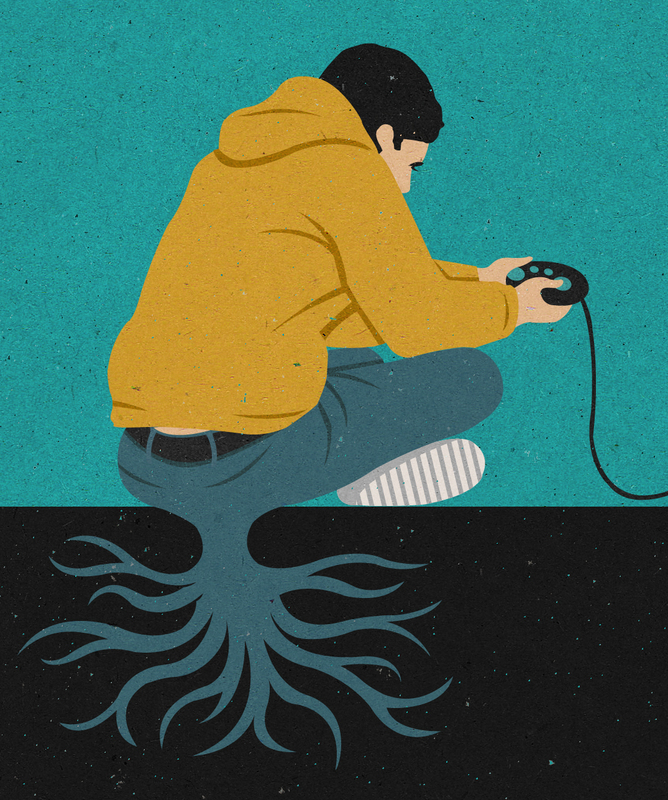 For Positive News magazine, editorial illustration about young people receiving therapy for technology addiction. 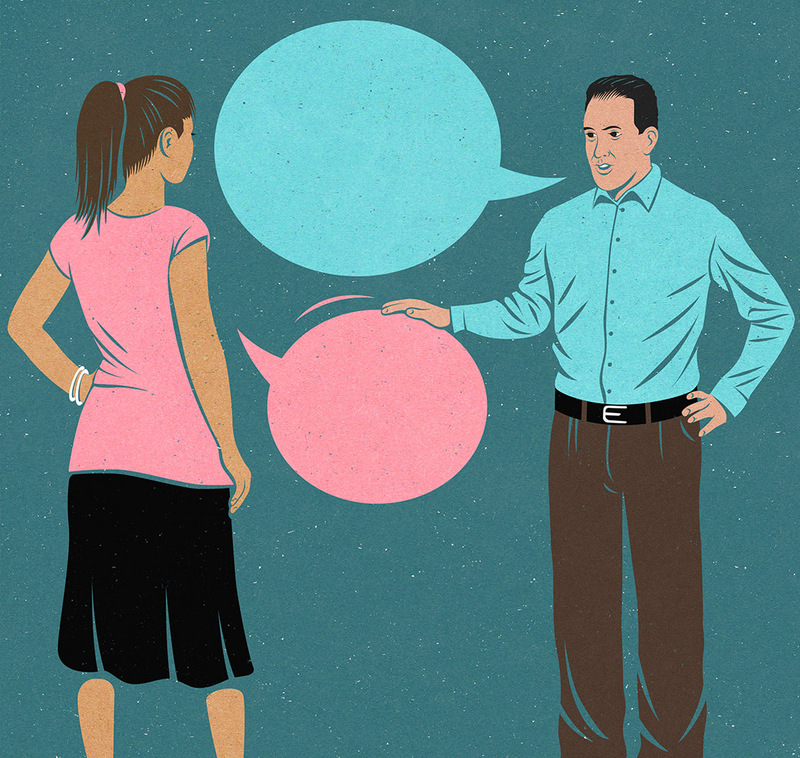 For Harvard magazine, about how most young people choose to confide in someone other than family and friends. 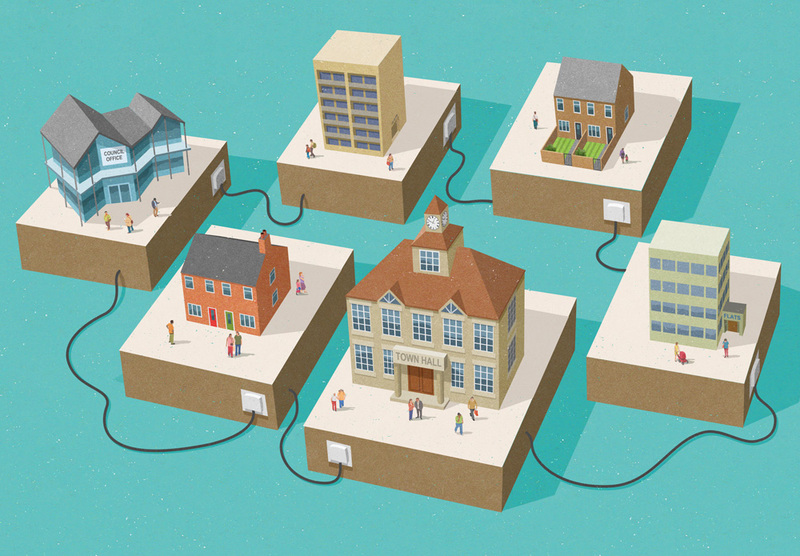 For Inside Housing magazine, editorial illustration about linking communities. 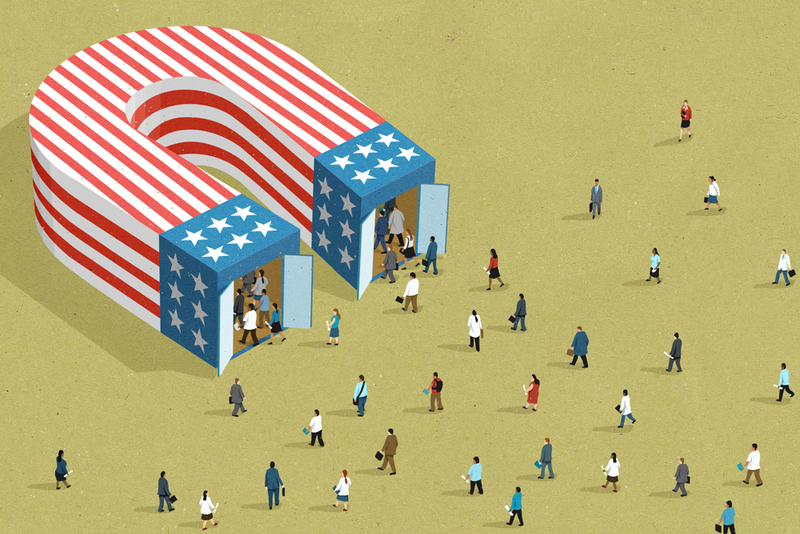 For Informa annual report, about business conventions attracting people from around the world. 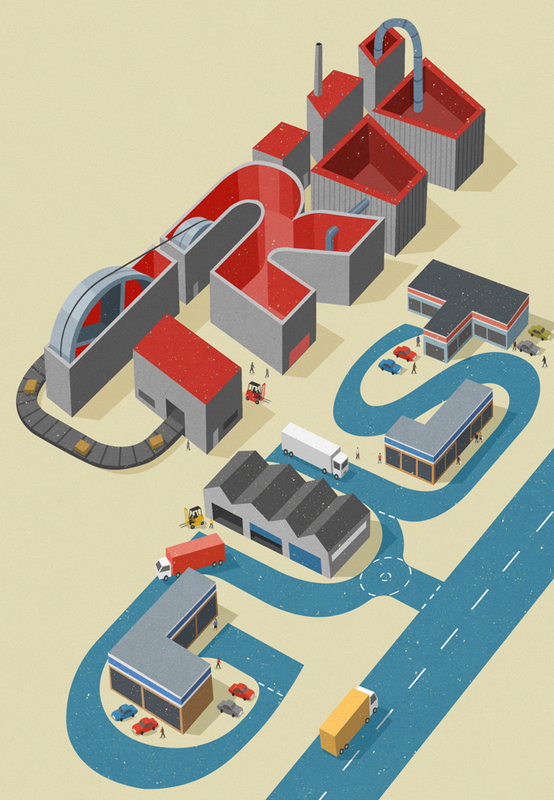 For Experian history book, about how the manufacturing company TRW and the retail company GUS came together to form Experian. 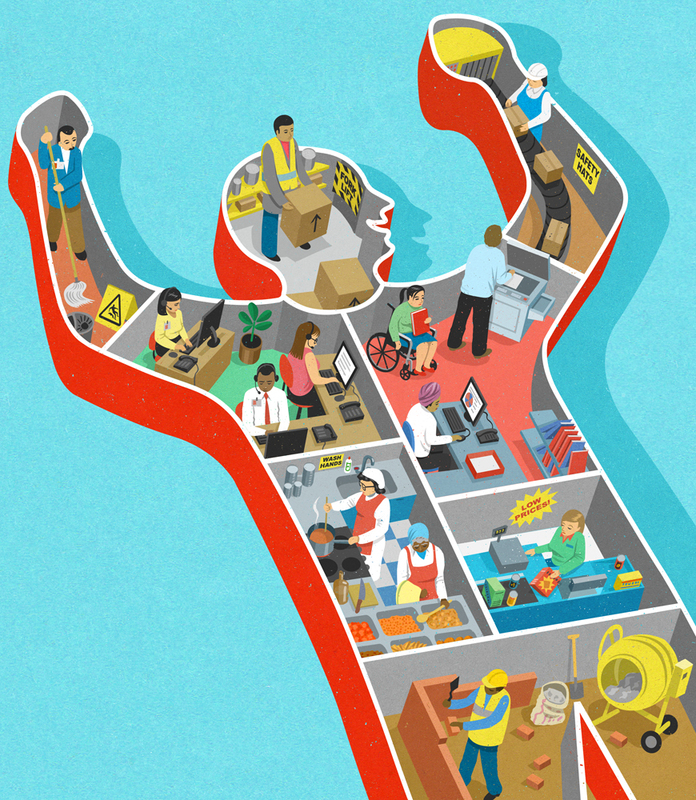 For TUC ( Trades Union Congress) about wellbeing in the workplace. 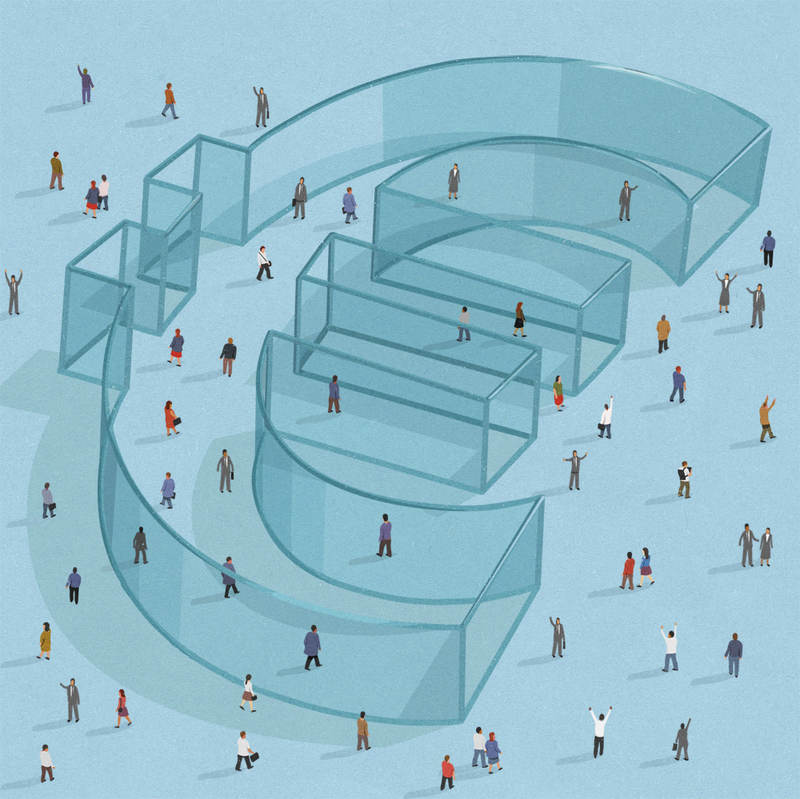 For Financial Times, about the Eurozone. 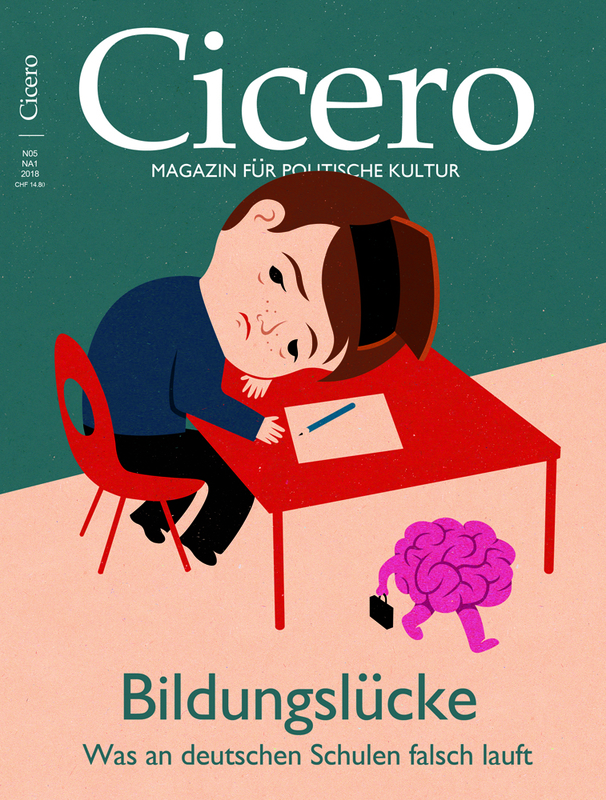 For Cicero magazine (Germany) about children’s concentration in school. 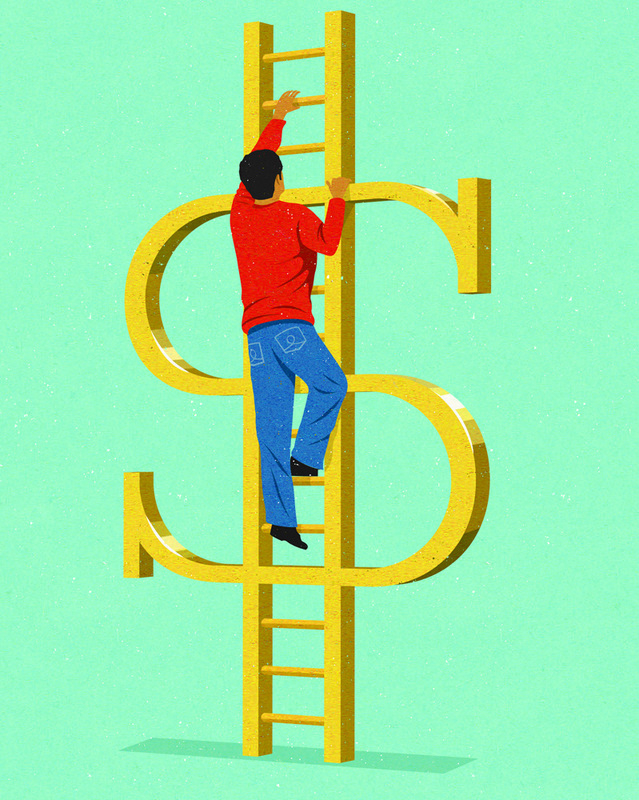 For Deloitte University Press, about the squeeze in promotions revenue. 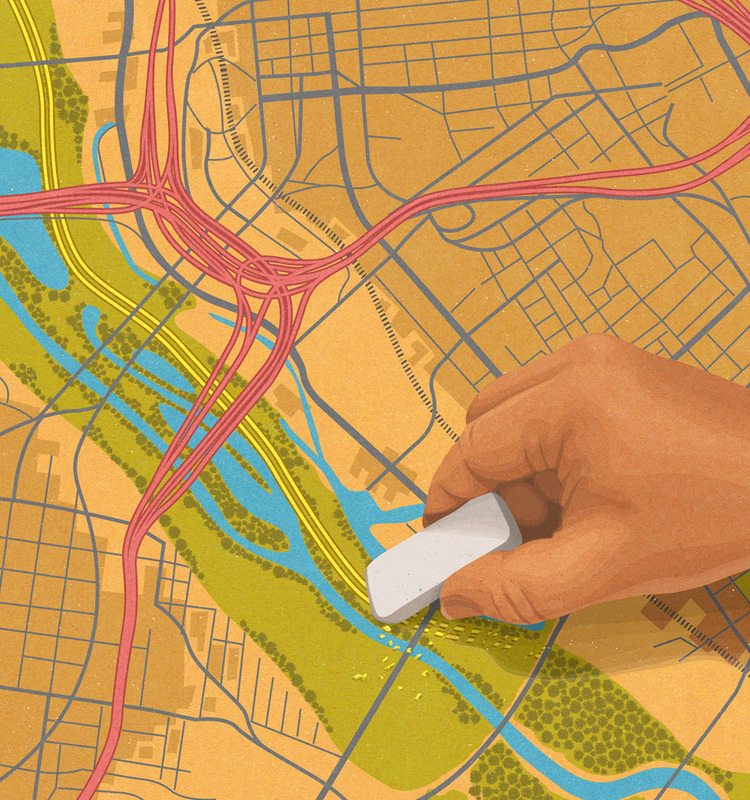 For Planning magazine about removing a toll road in the planning stage. 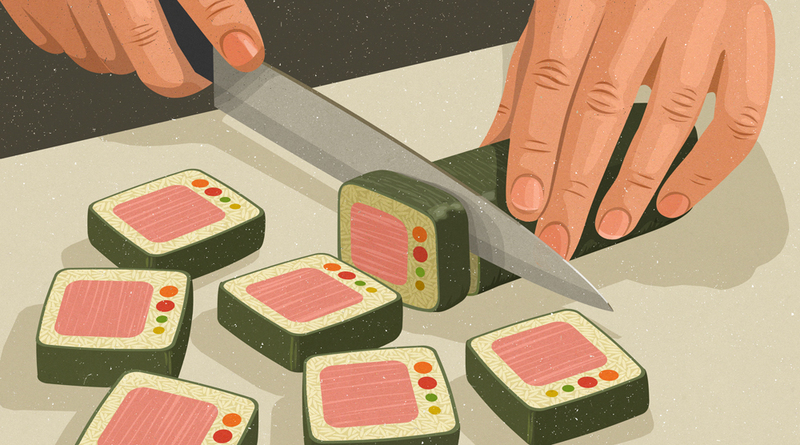 For food magazine, about TV cookery programmes. 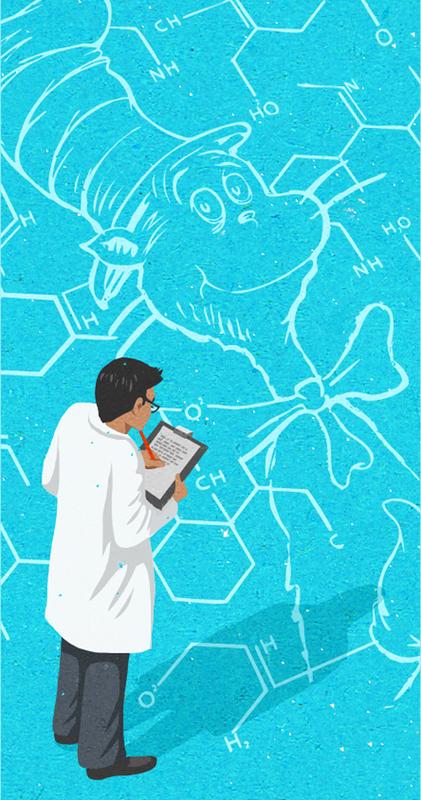 Magazine illustration for Radio Times, for a radio show about the science behind Dr Seuz. 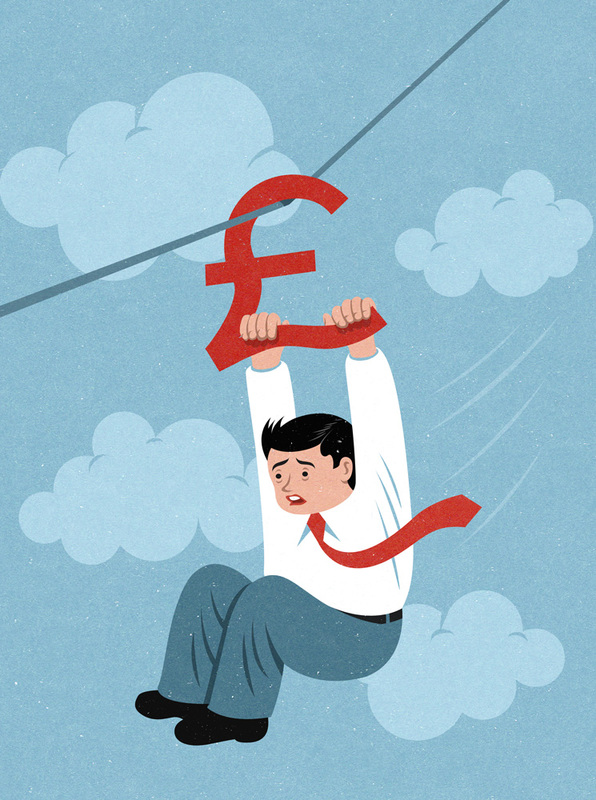 For finance magazine, about safeguarding plummeting currency. 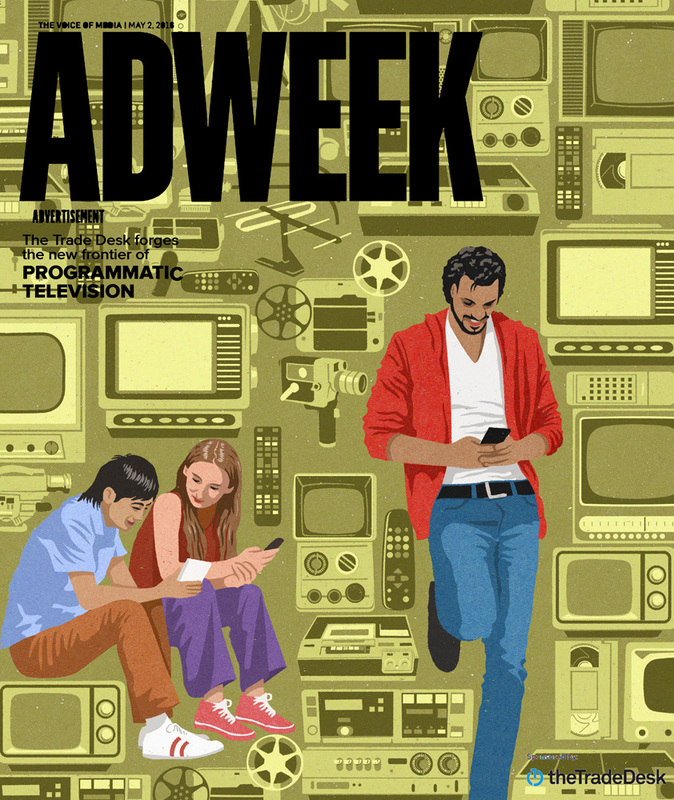 Magazine illustration for Adweek cover about television in a new era. 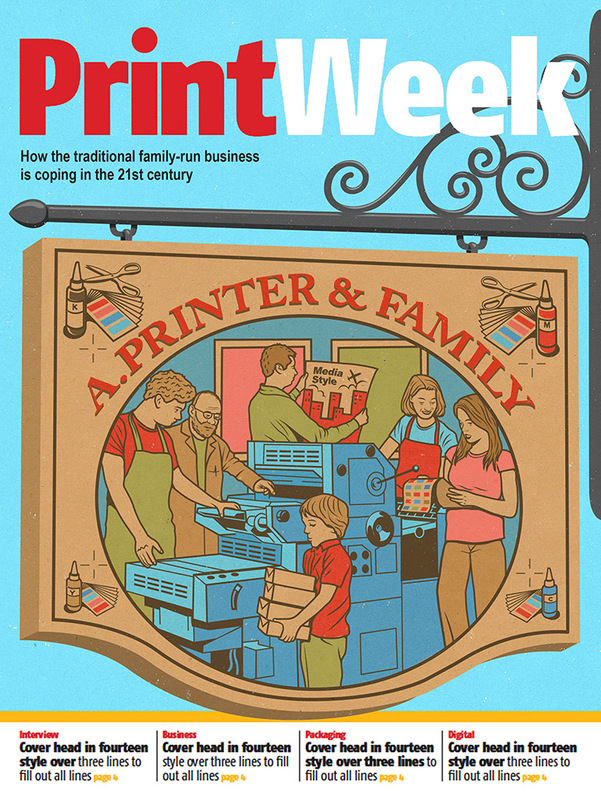 Magazine illustration for Print Week, cover illustration about family businesses. 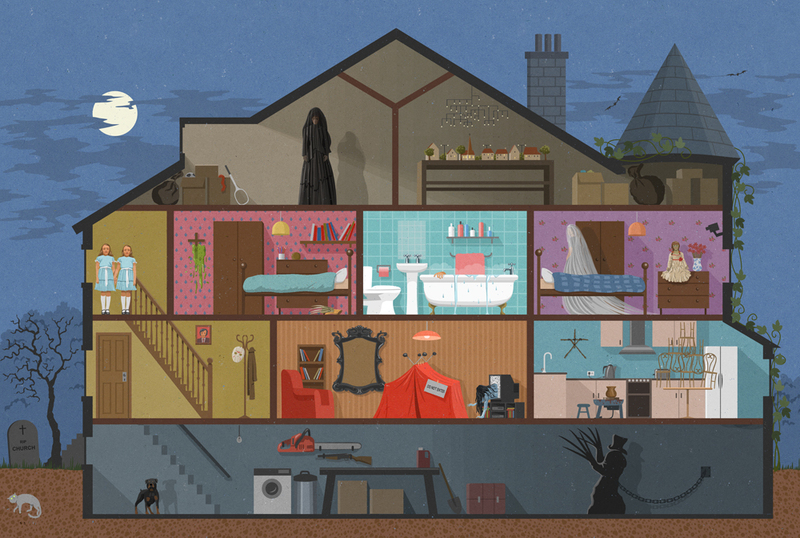 For Vue magazine, a competition to spot 20 horror film references. 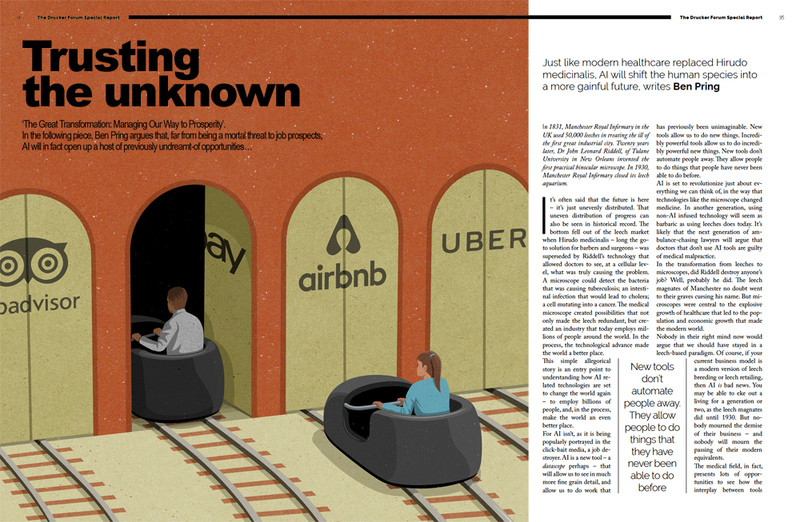 For Ambition magazine, about braking away from the usual way of doing business and finding other avenues. 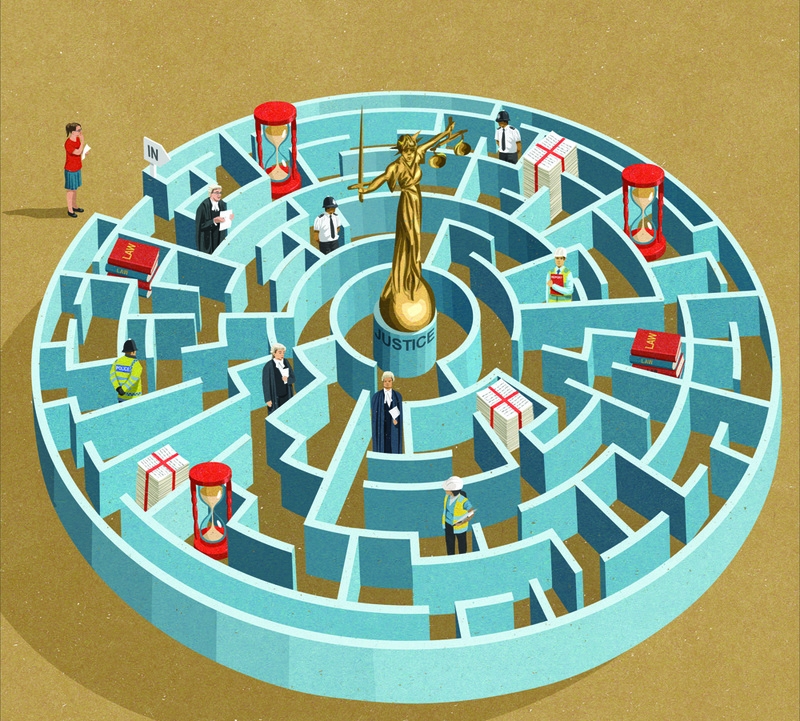 For the Guardian, about small victories, little but often will eventually in time win overall. 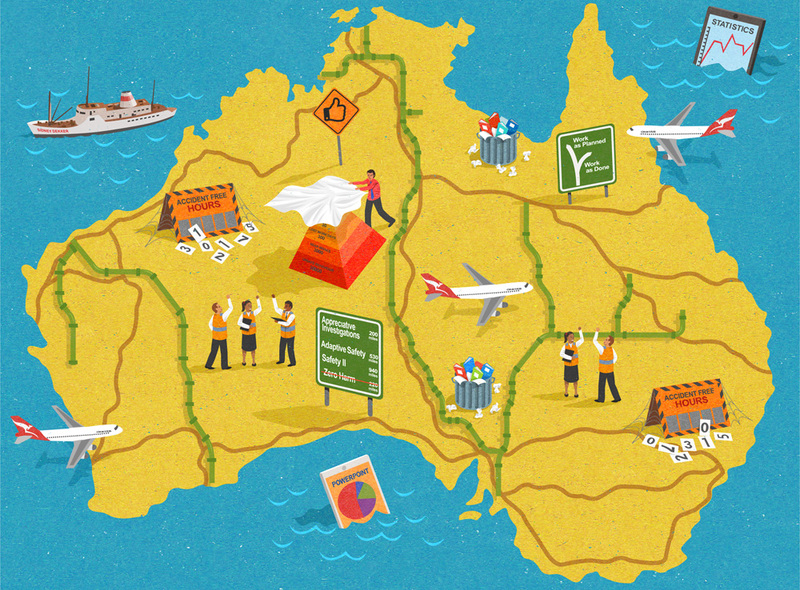 For Health and Safety magazine about how safety is handled in Australia. 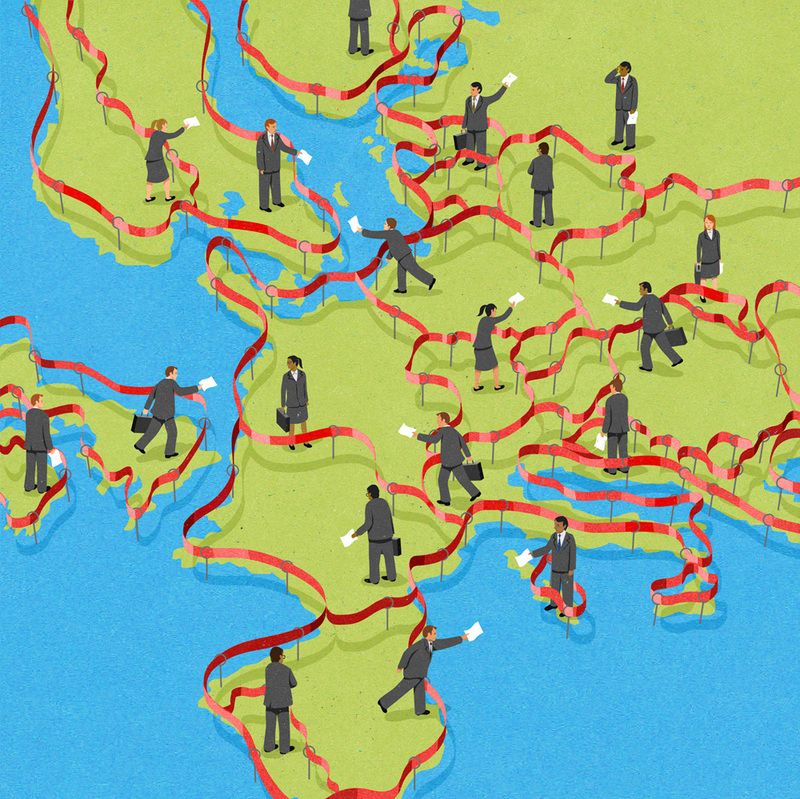 For Financial Times, about EU regulations affecting business in Europe. 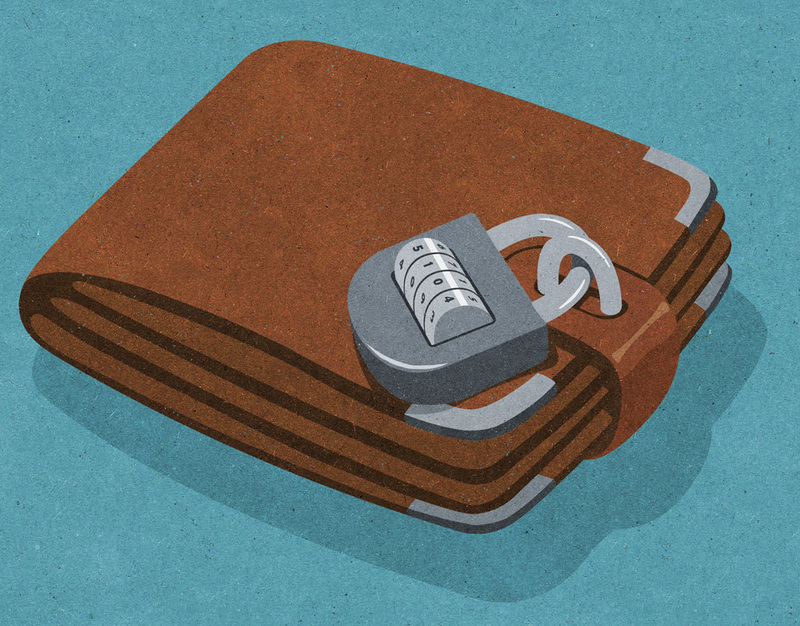 For Financial Times, about how foreign investment was used to help the E coli outbreak. 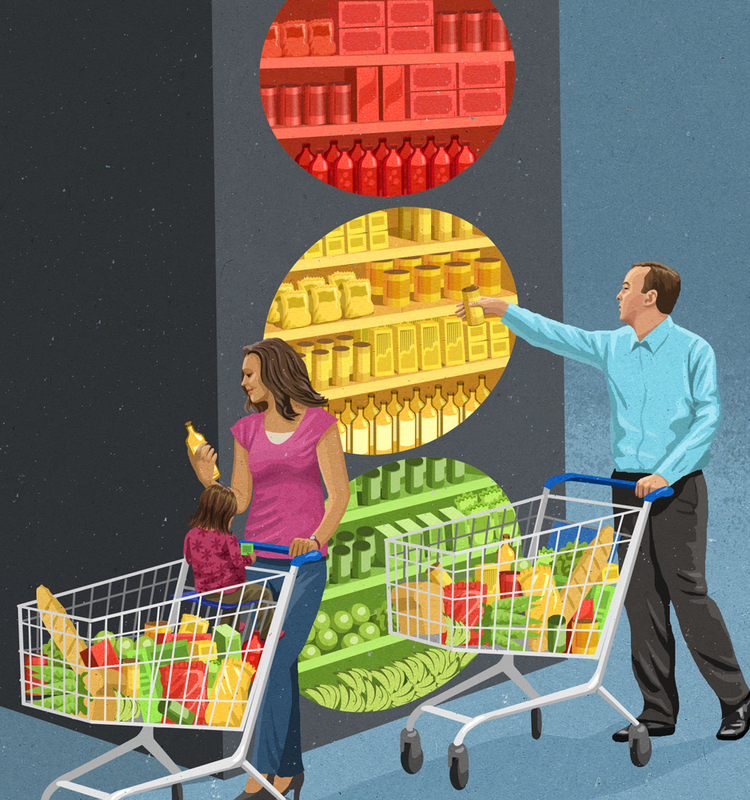 For Waitrose magazine, about traffic light food labelling. 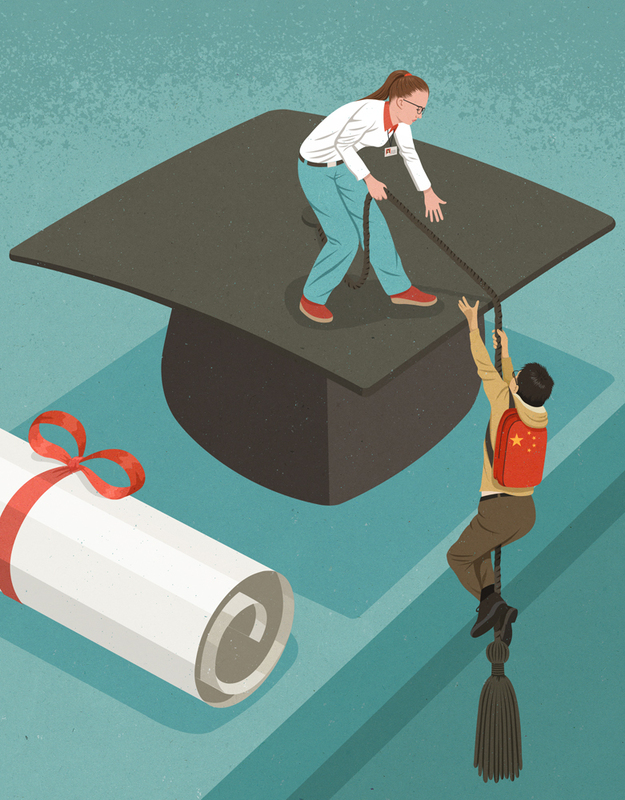 © 2019 John Holcroft Illustrator All Rights Reserved.